Let’s start with the September protagonists, the exceptional Carmine Bee-eaters, a favourite morning hide visit for guests both at Kaingo and Mwamba. 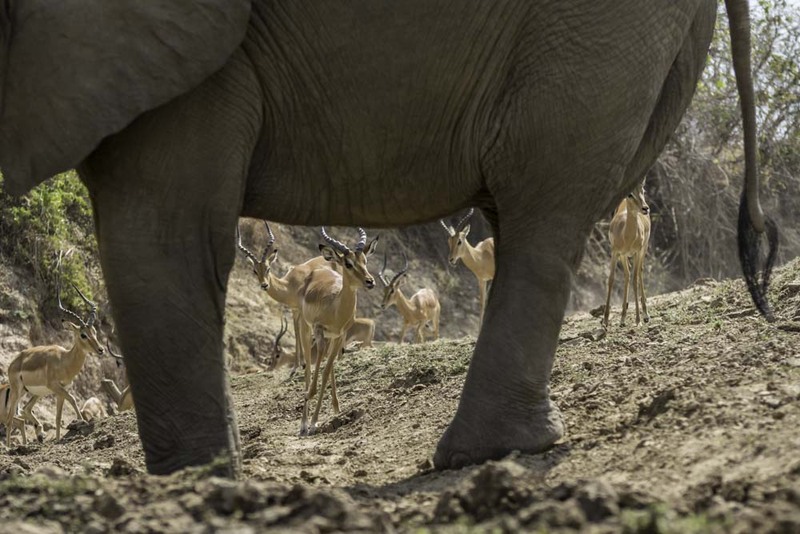 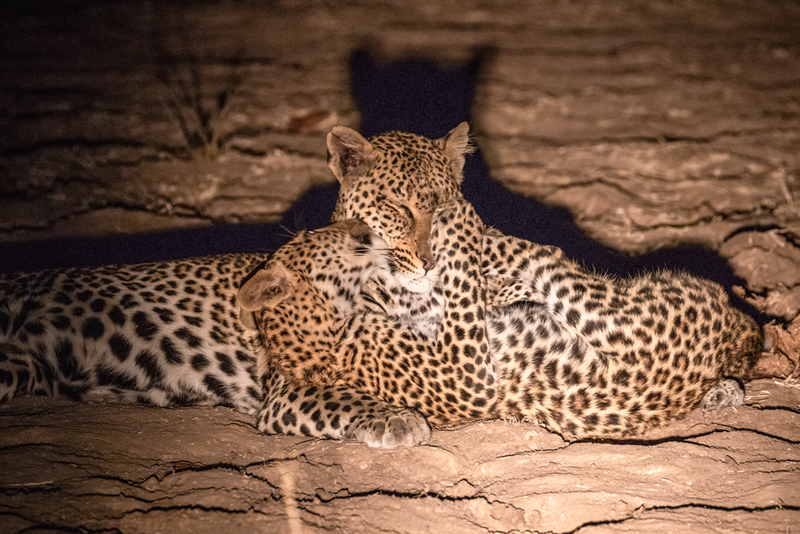 This year we’ve had the incredible fortune of having two sets of large colonies close to both of our camps, and therefore the possibility of creating two different hides! 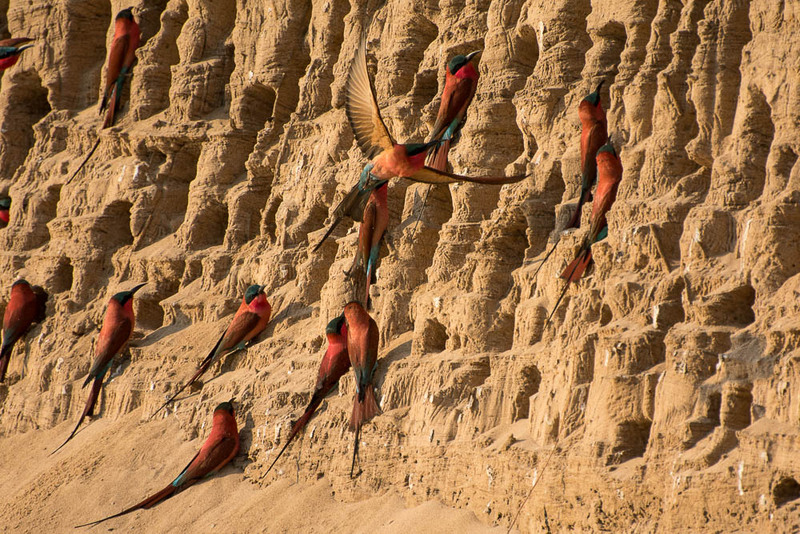 These phenomenal birds blow us away every year, and each year we find new aspects of appreciating them. 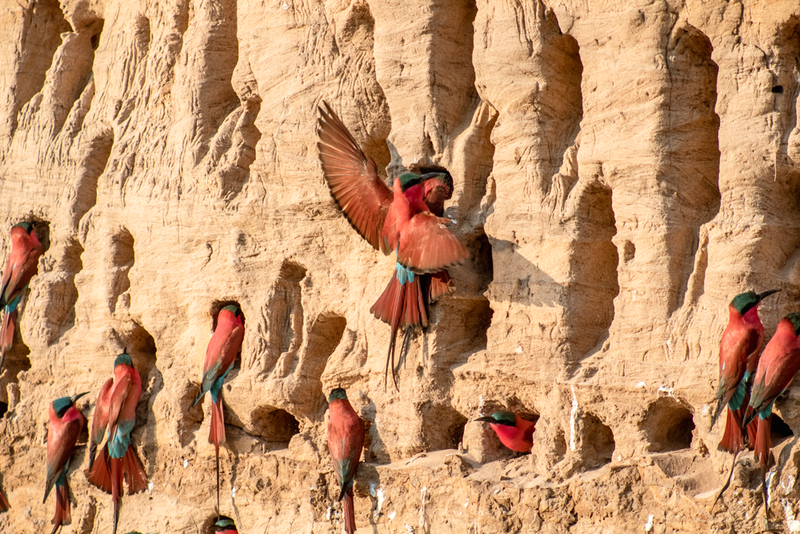 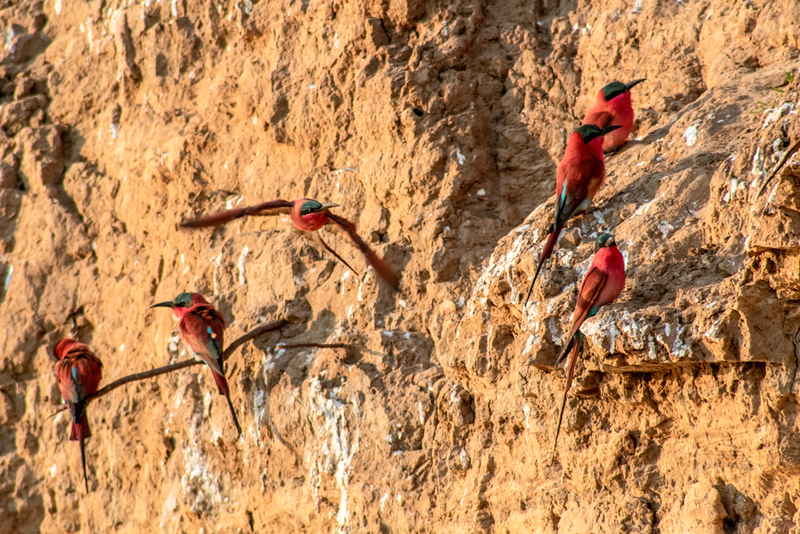 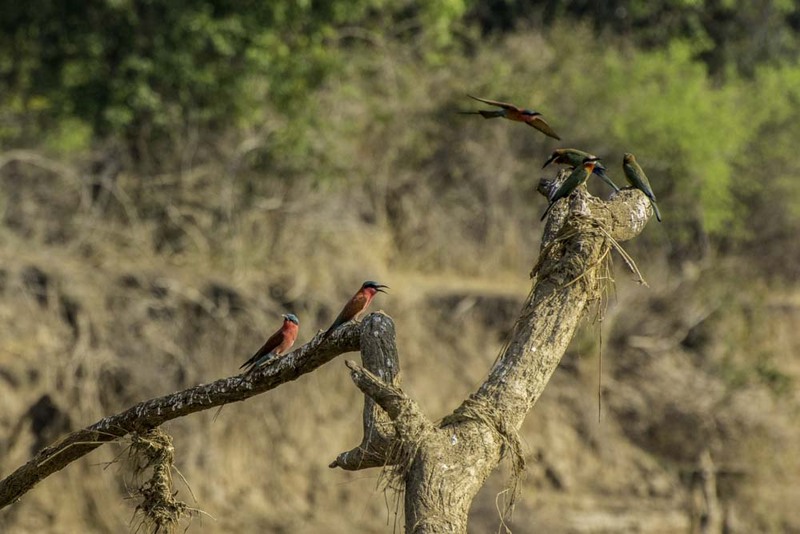 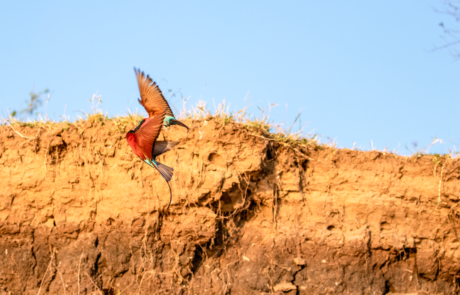 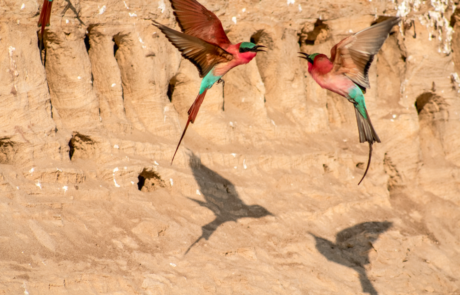 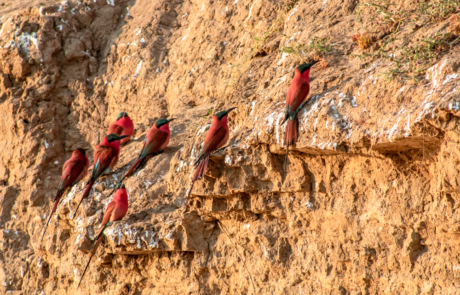 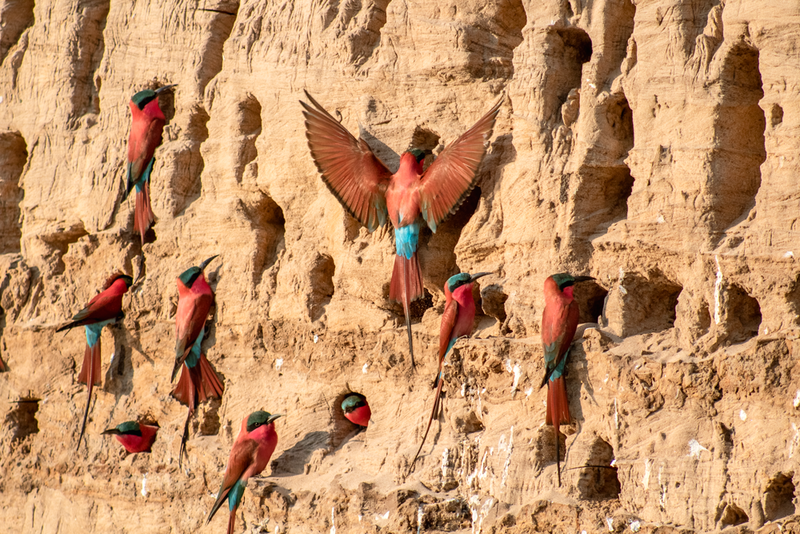 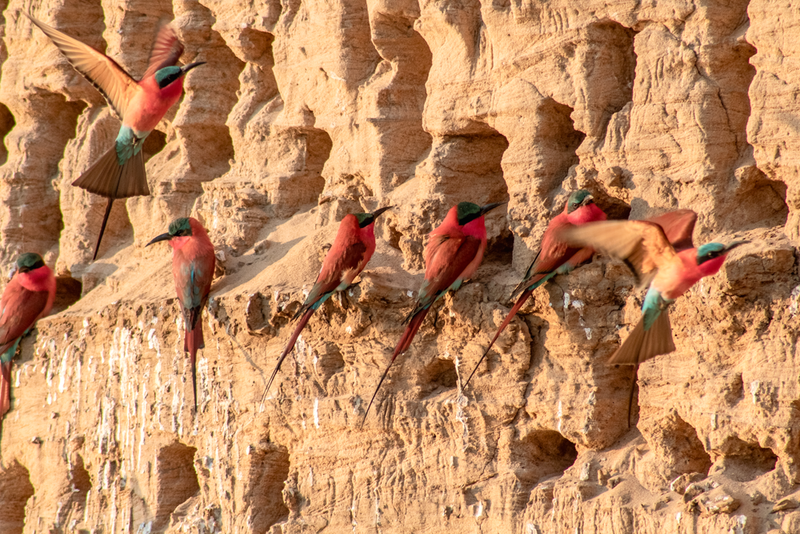 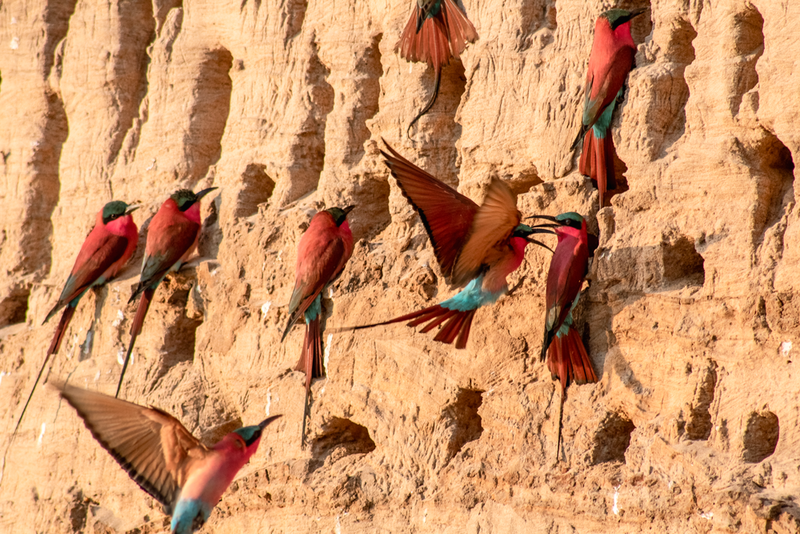 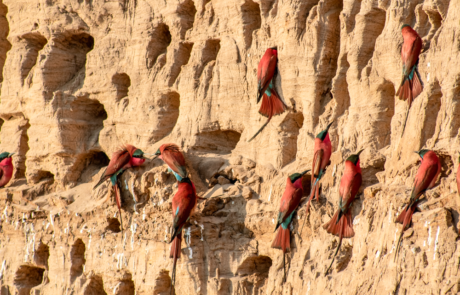 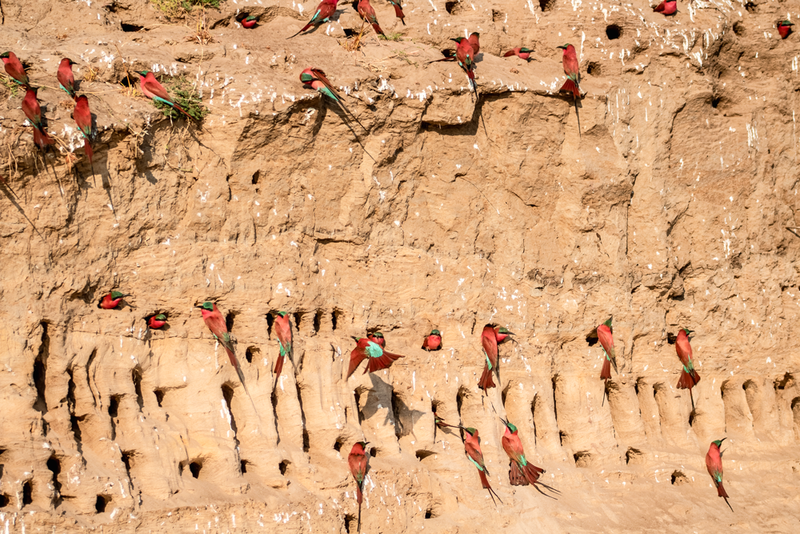 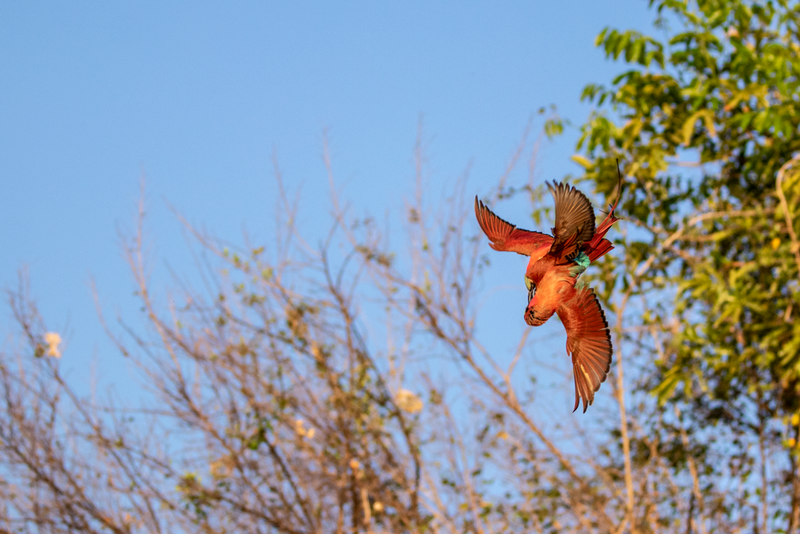 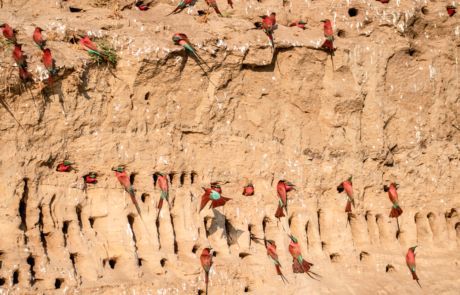 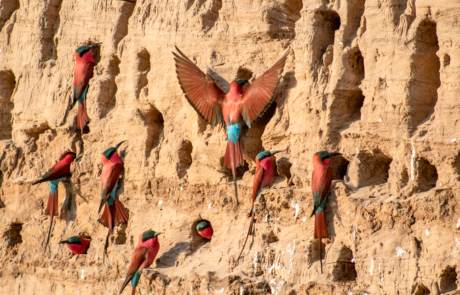 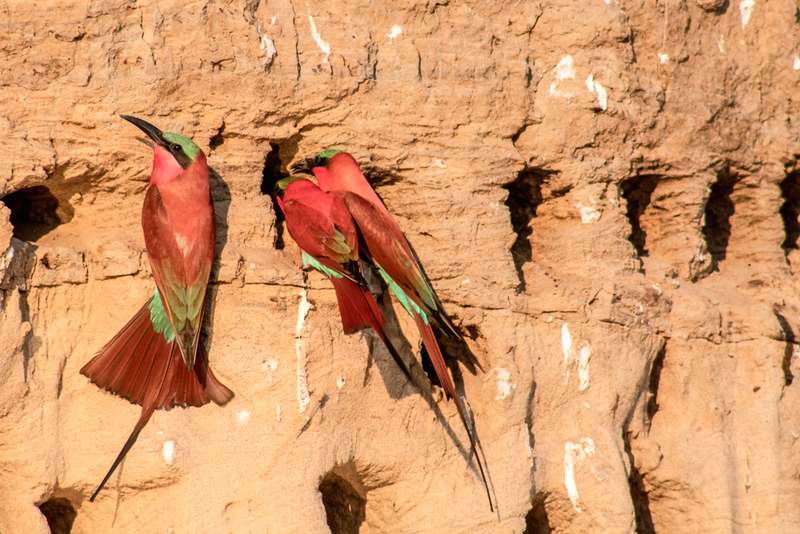 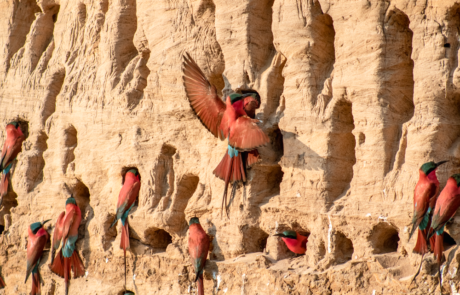 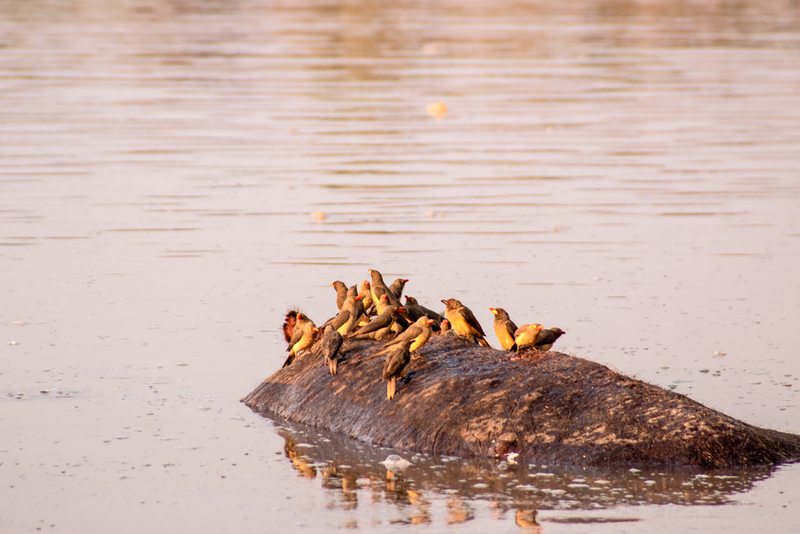 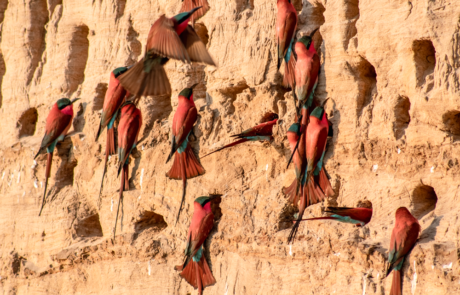 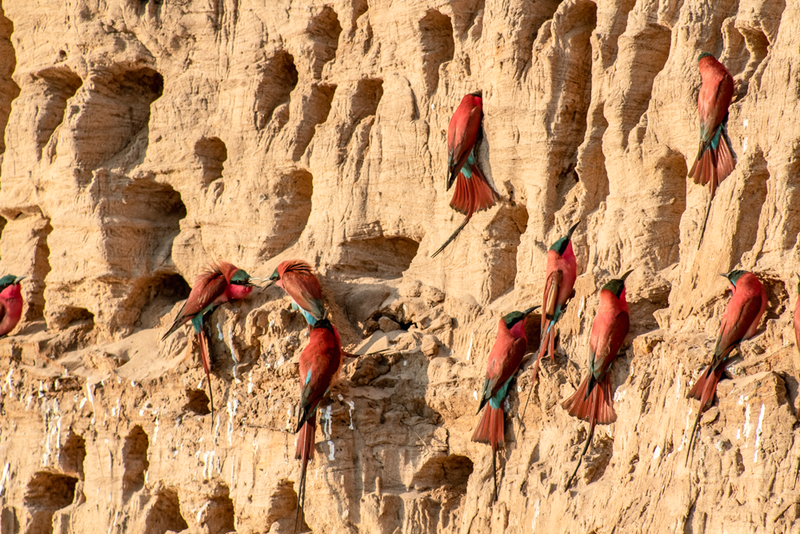 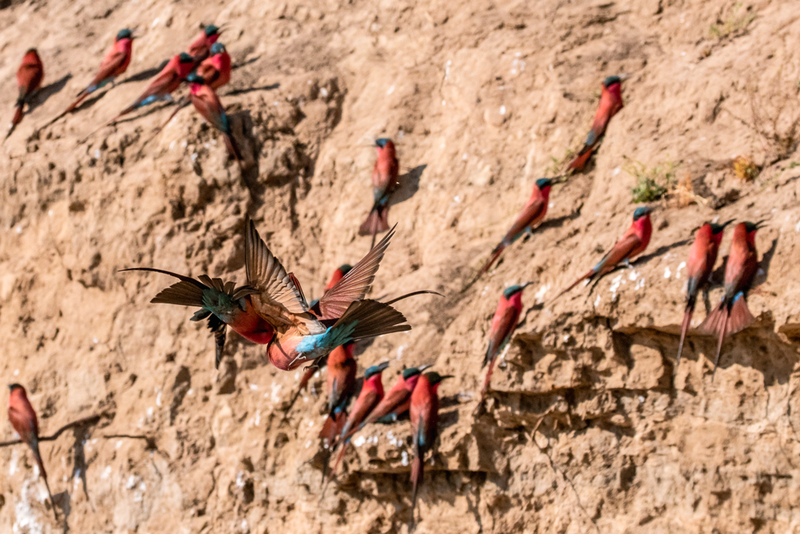 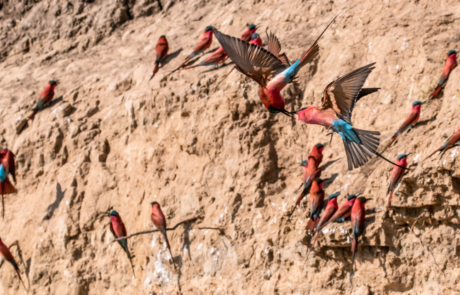 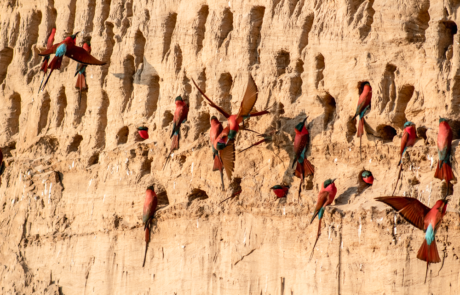 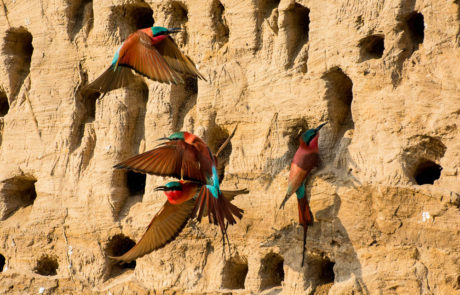 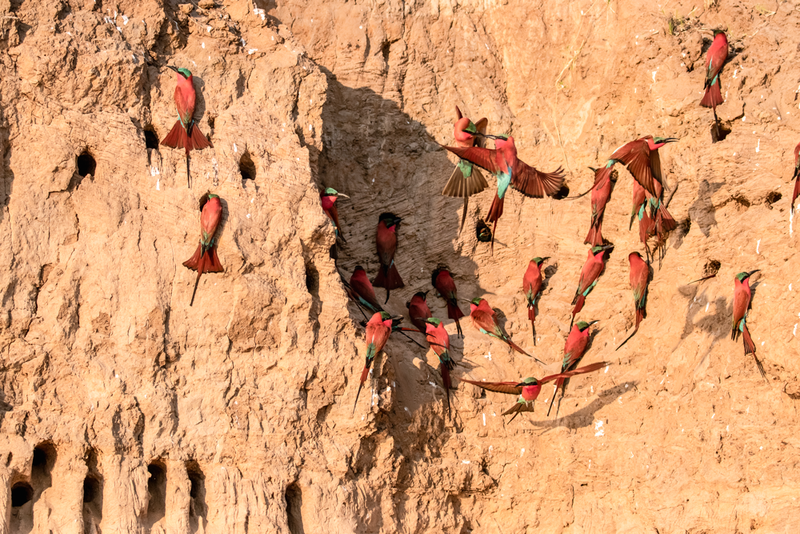 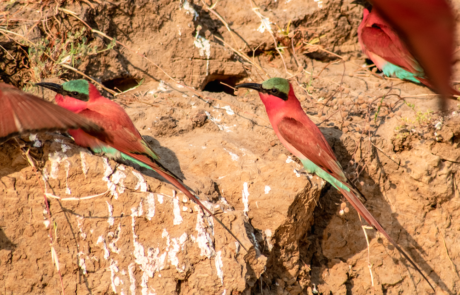 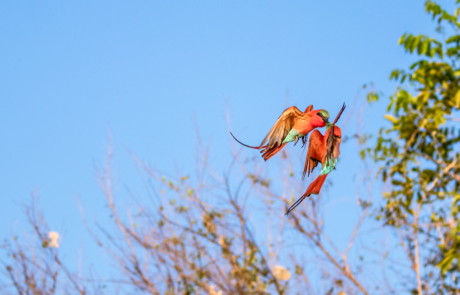 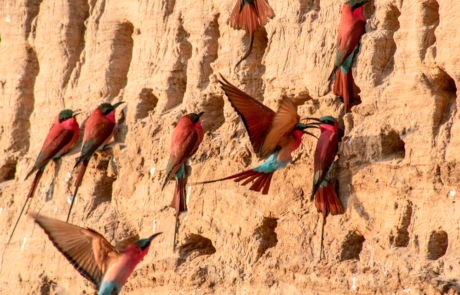 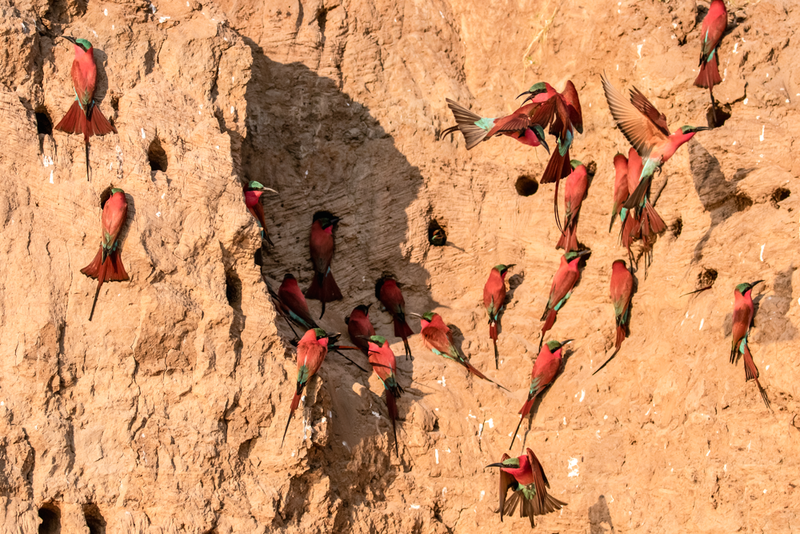 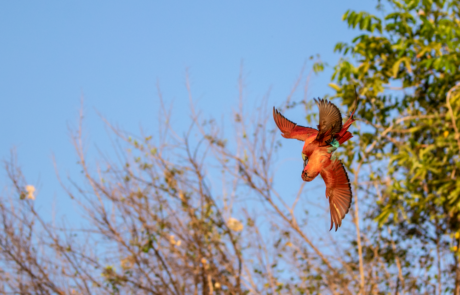 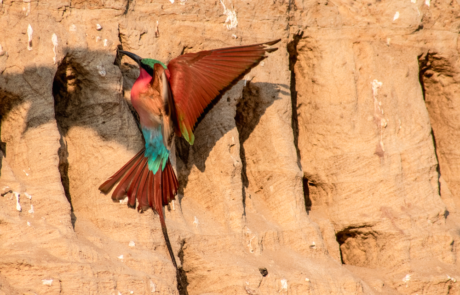 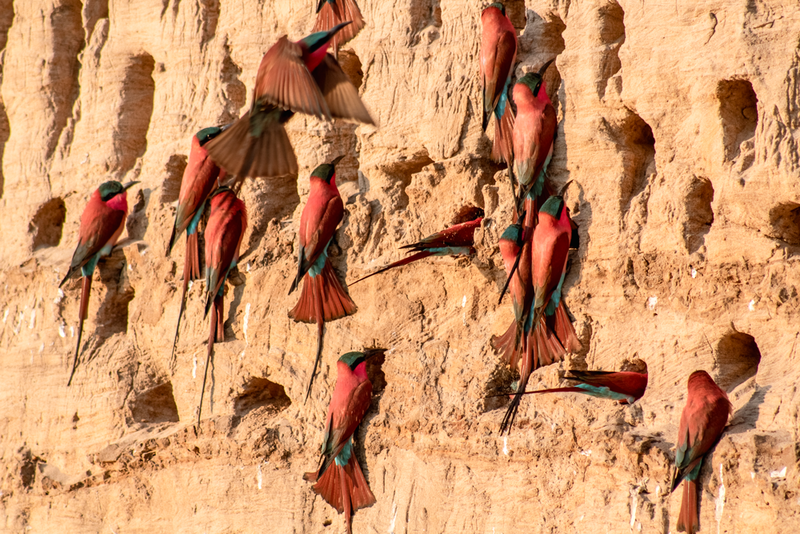 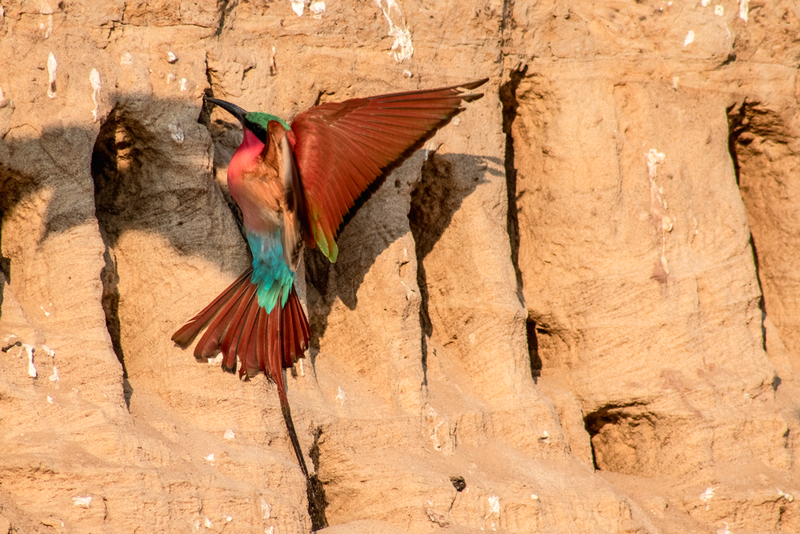 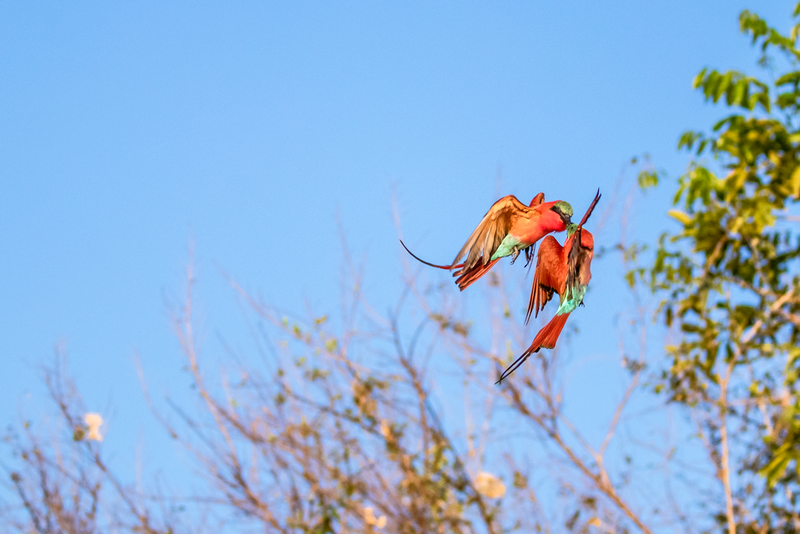 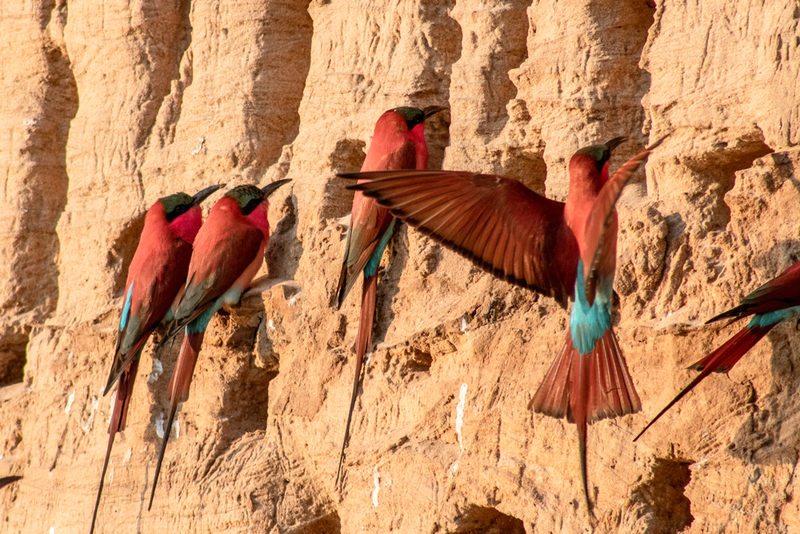 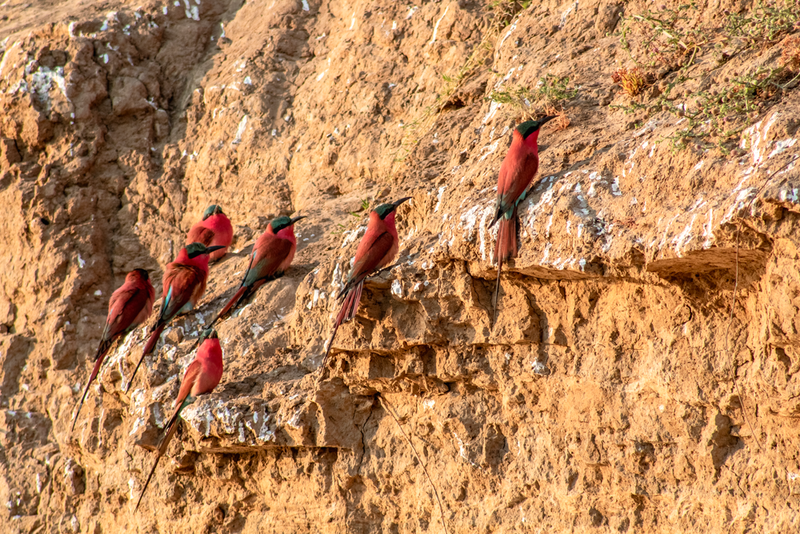 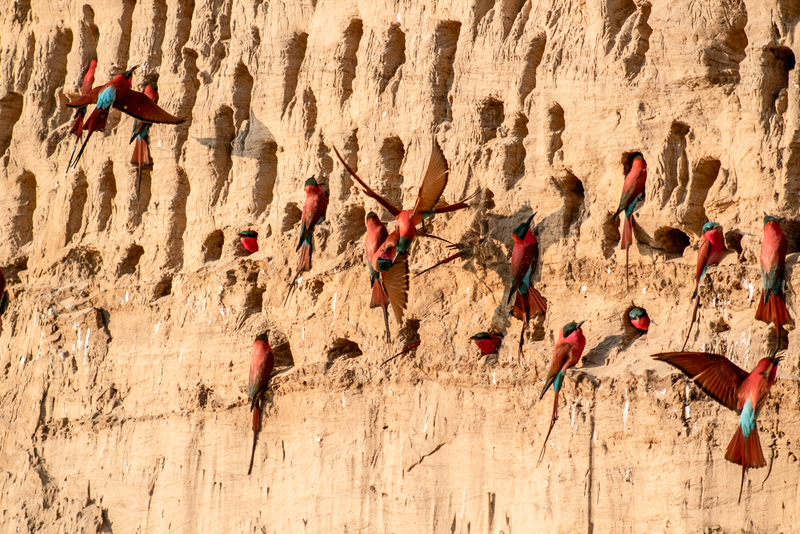 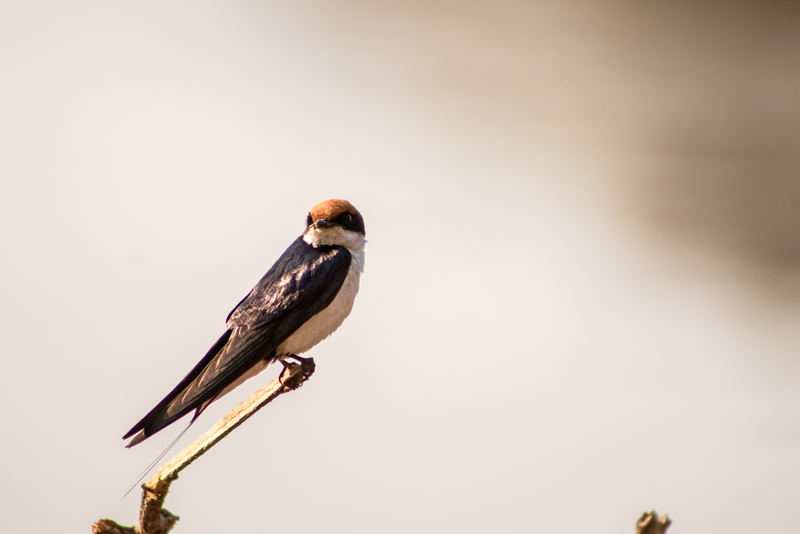 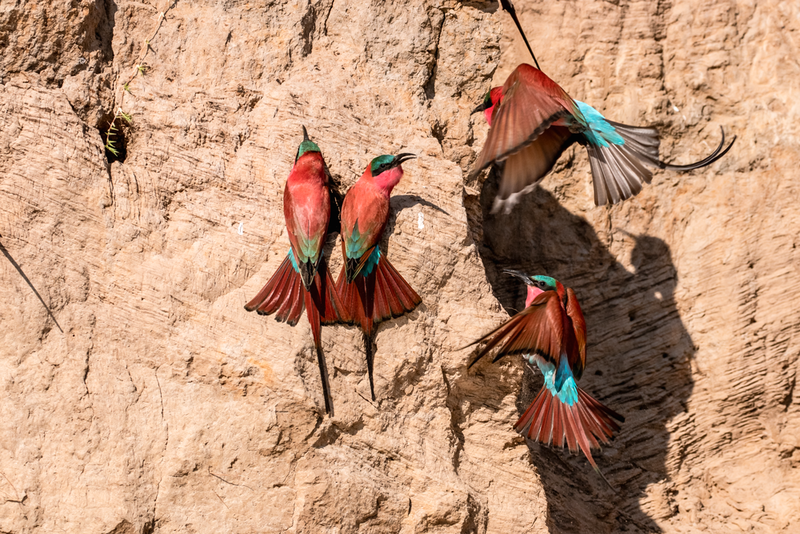 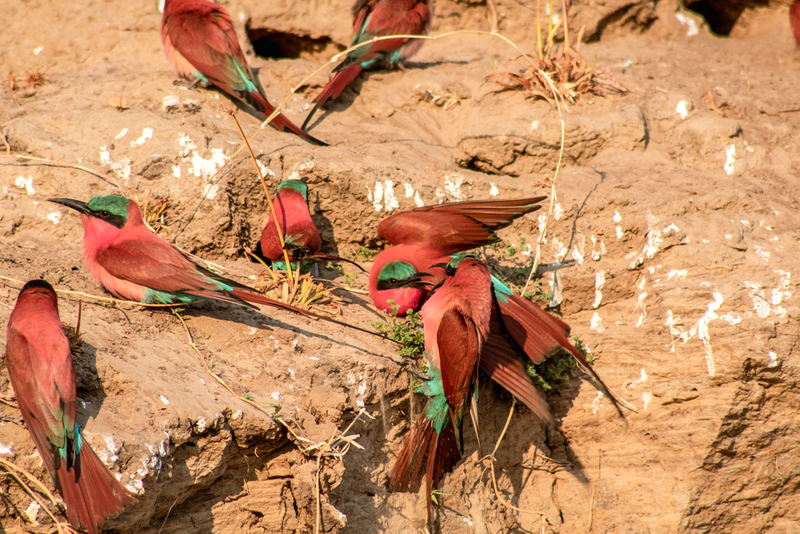 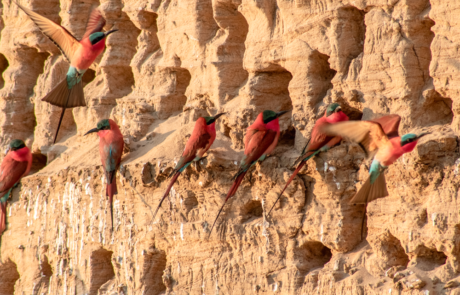 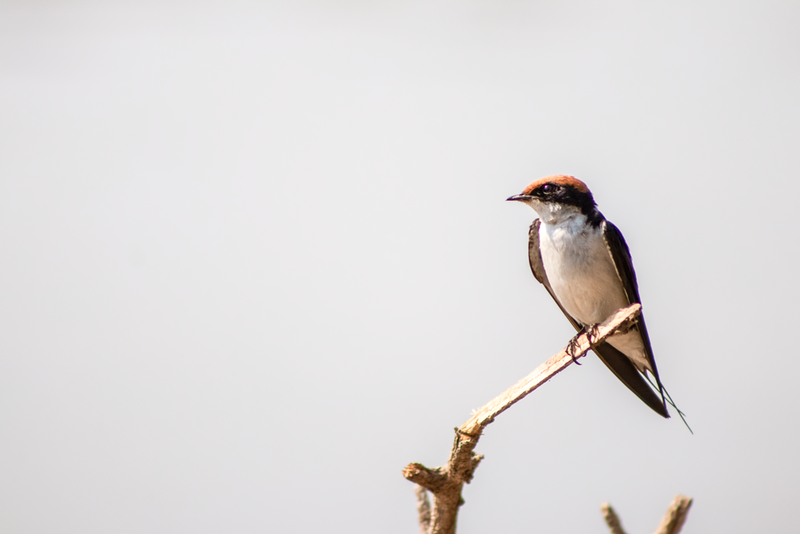 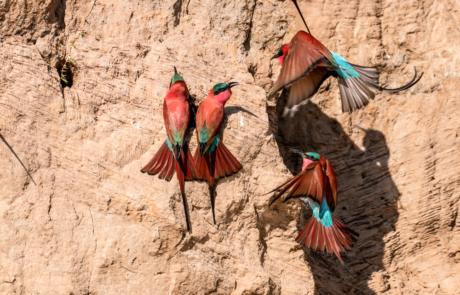 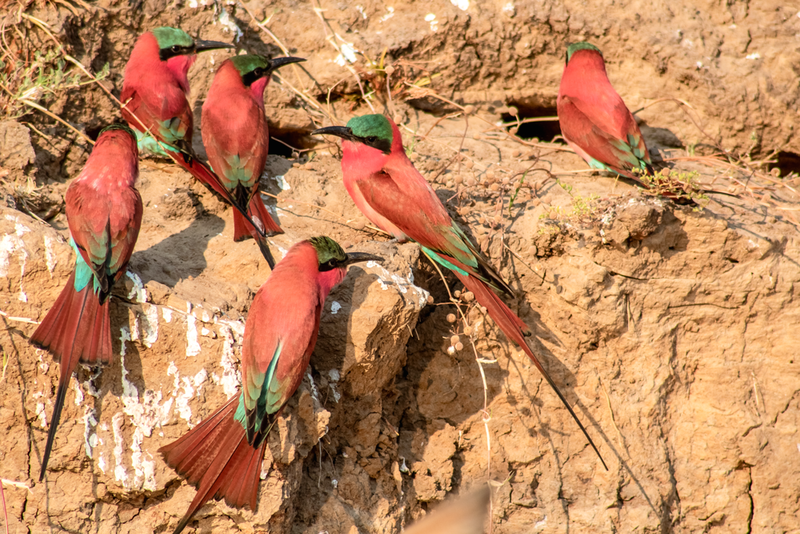 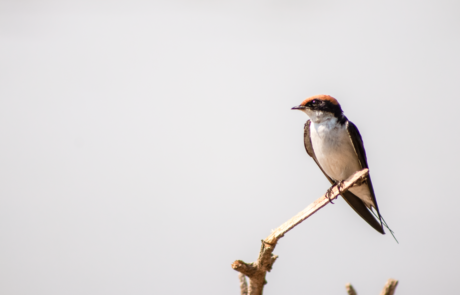 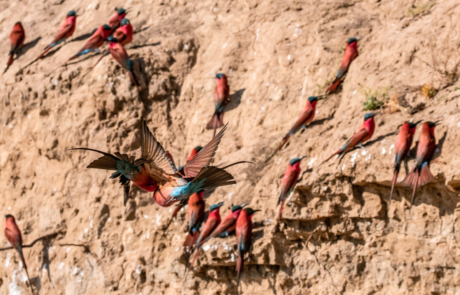 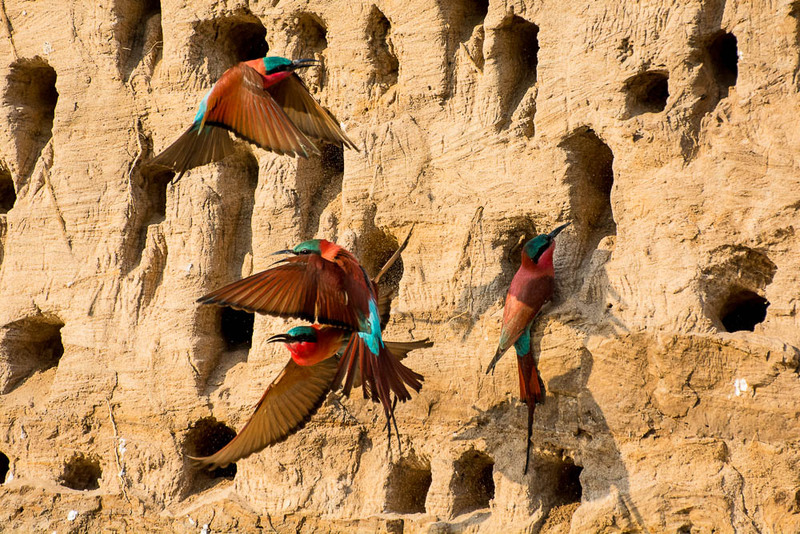 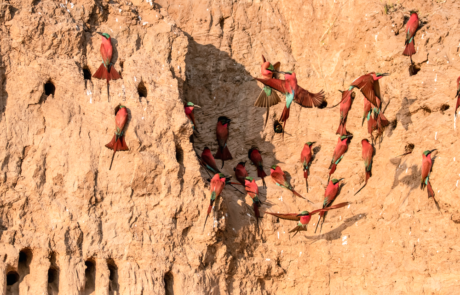 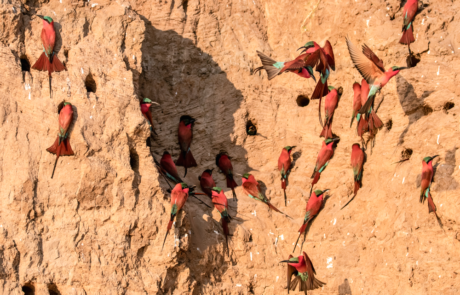 Witnessing the formation of a carmine bee-eater colony is an art spectacle, scarlet and cyan blue dance in the skies and reflect off the Luangwa River. 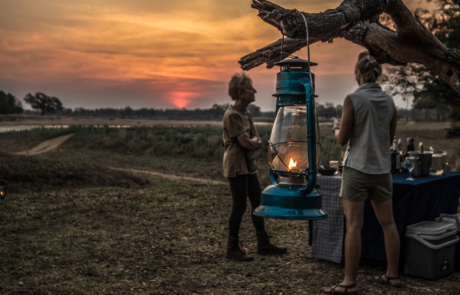 This year we’ve passed on the following recommendation to our guests, so if you are soon to arrive then take note! 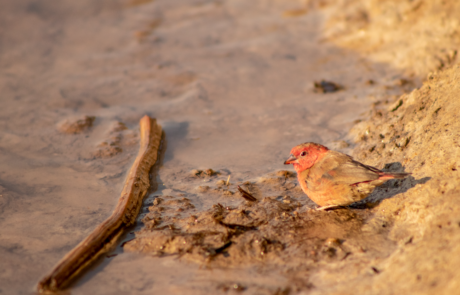 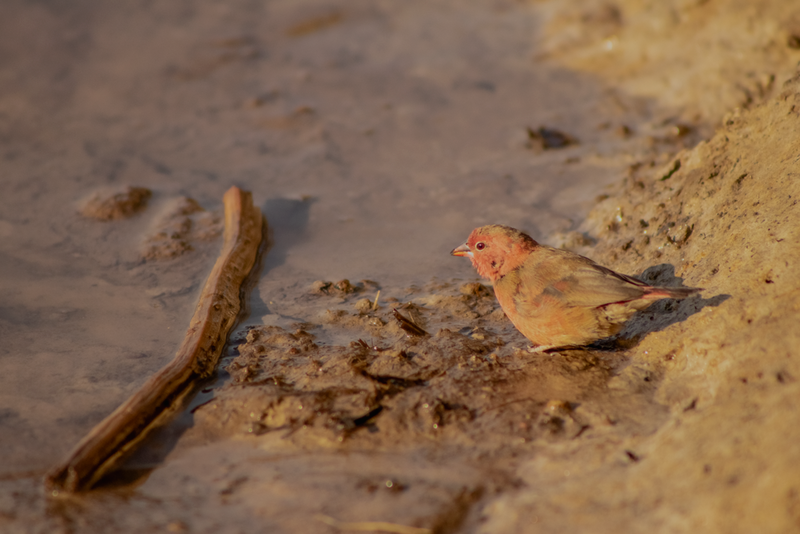 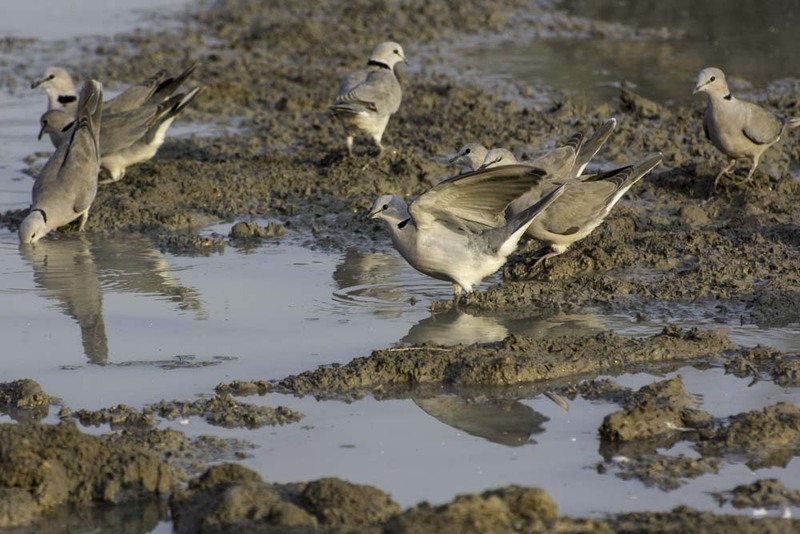 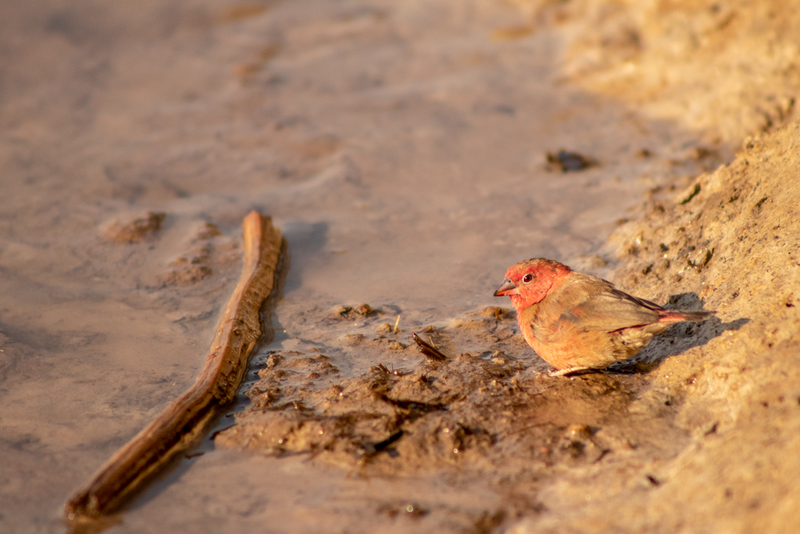 Once you’ve settled into the hide, and enjoyed watching some of the action, the Carmines have to offer. 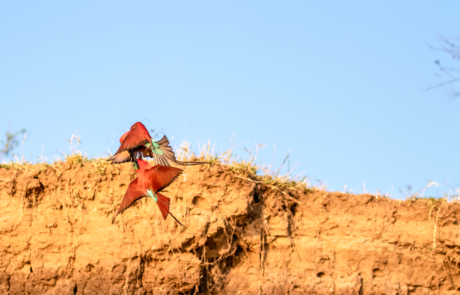 From their courtship aerial acrobatics to disputes over their catch of the day, to digging and burrowing. 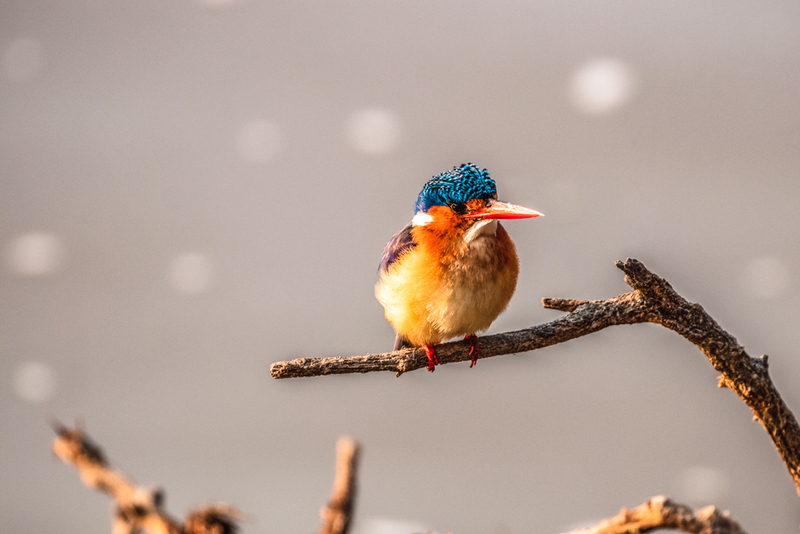 All this action and colour is a lot to take in, so we recommend taking a few minutes with closed eyes, and taking in the incredible sounds these beautiful birds make. 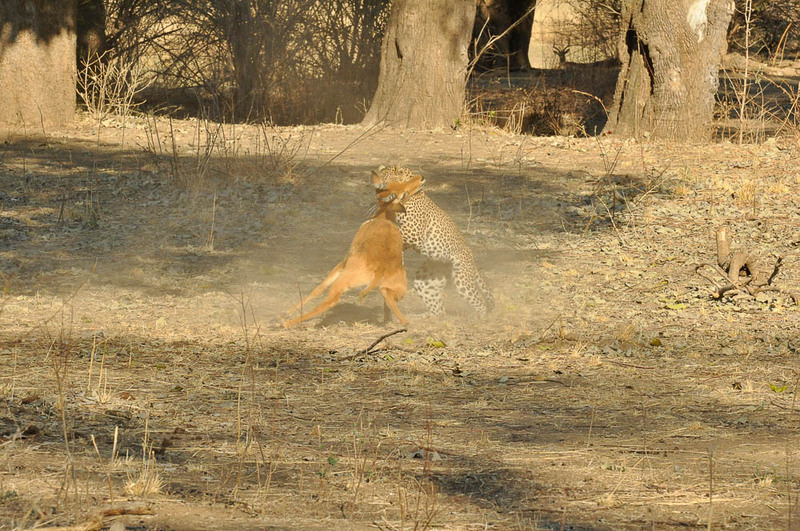 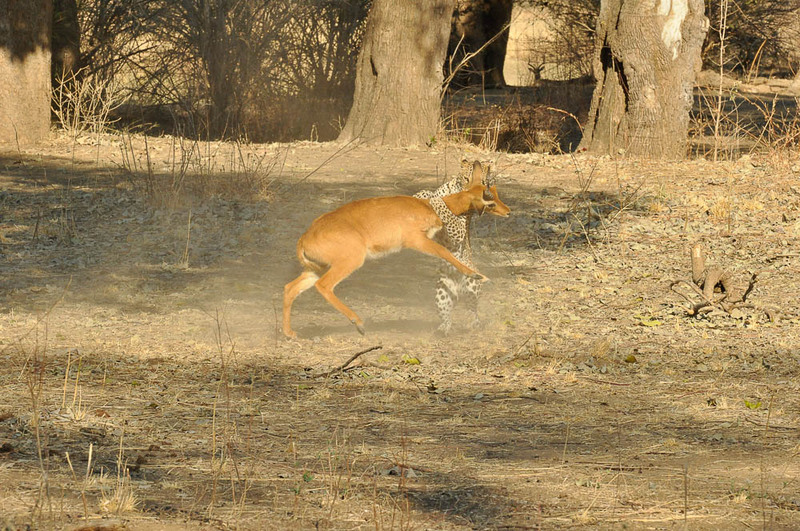 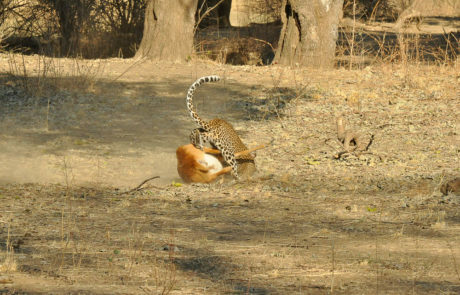 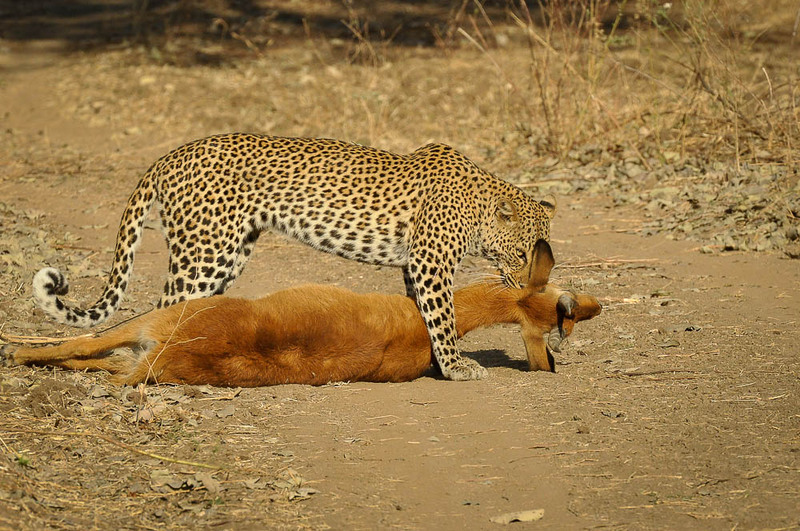 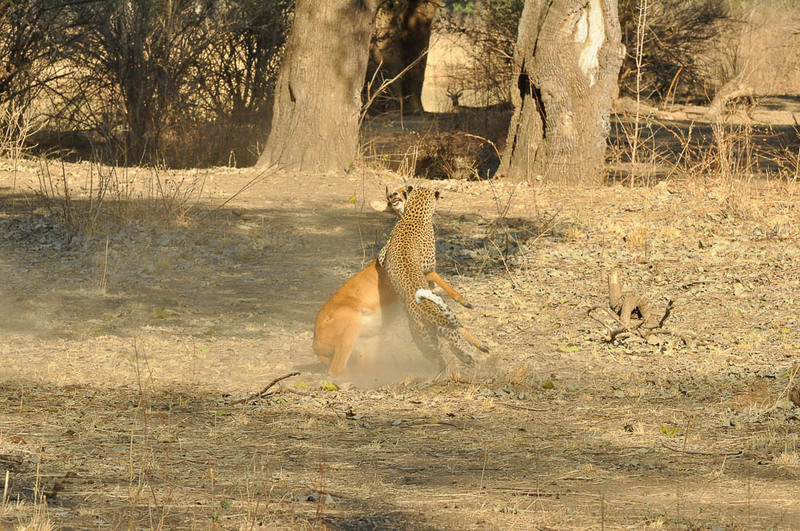 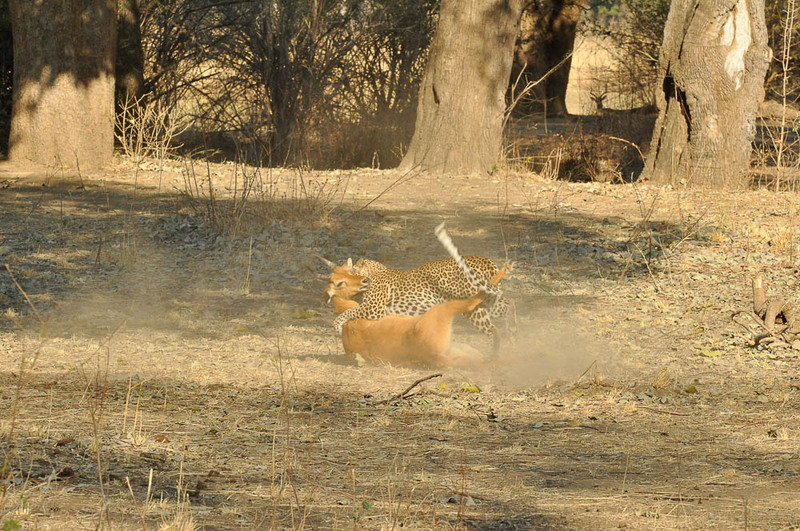 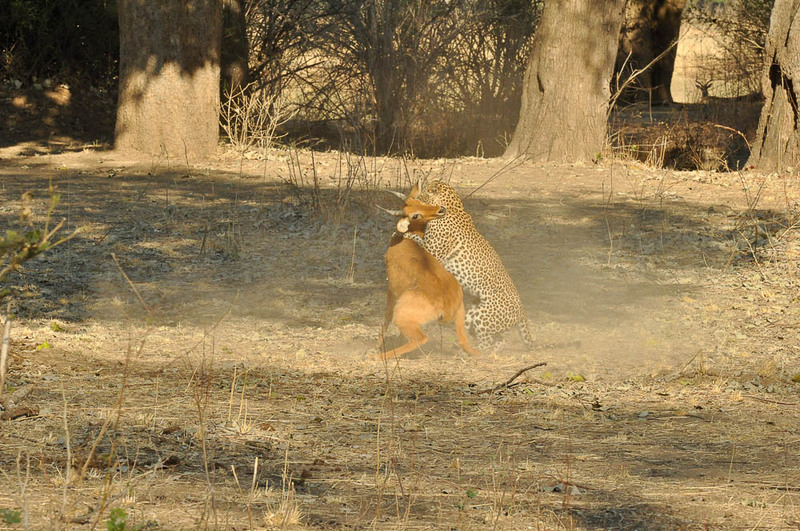 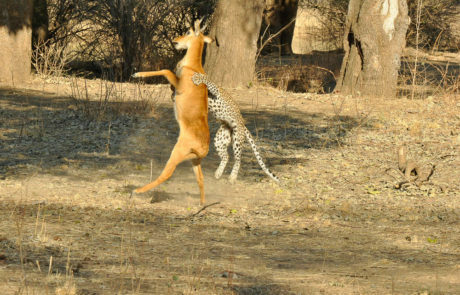 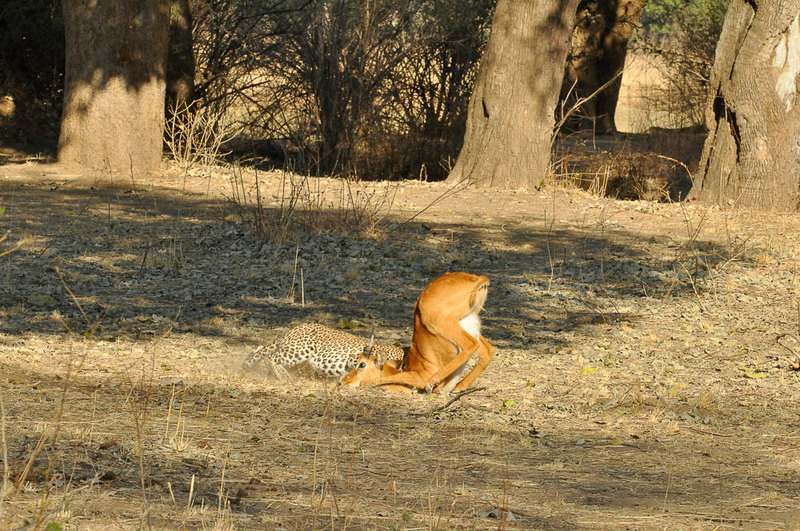 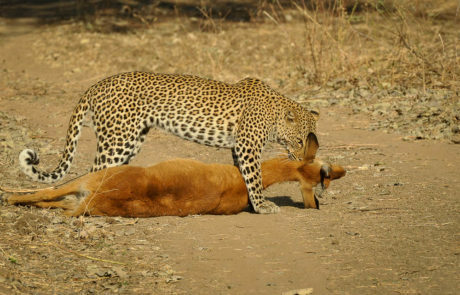 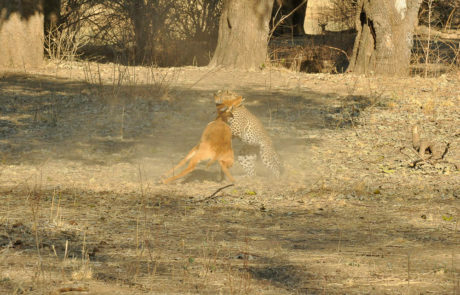 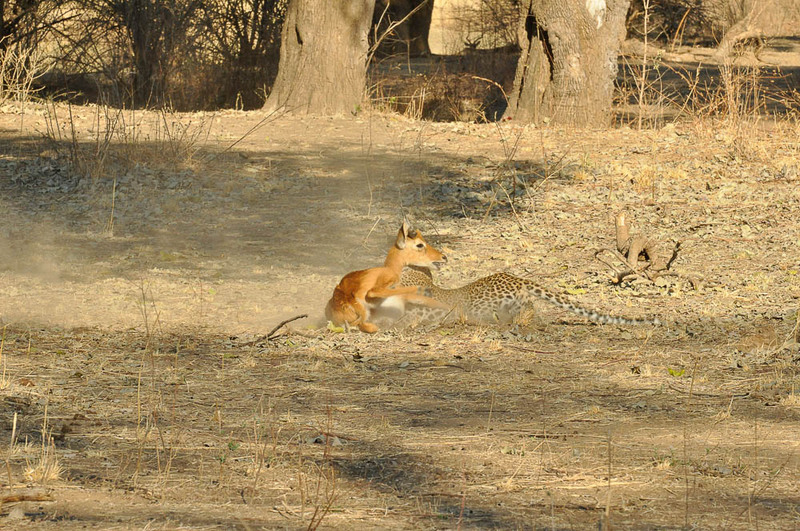 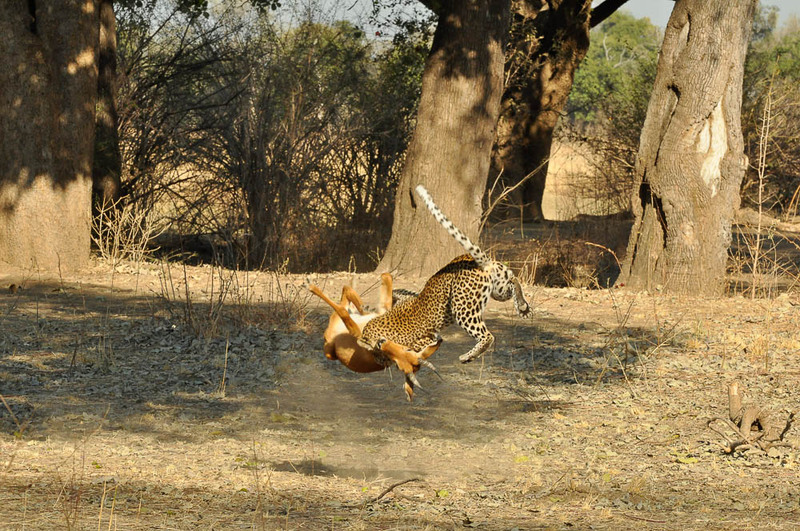 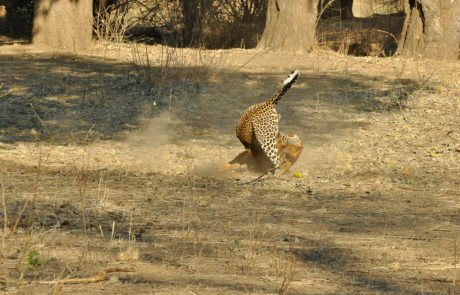 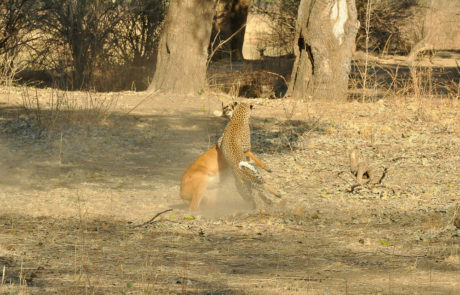 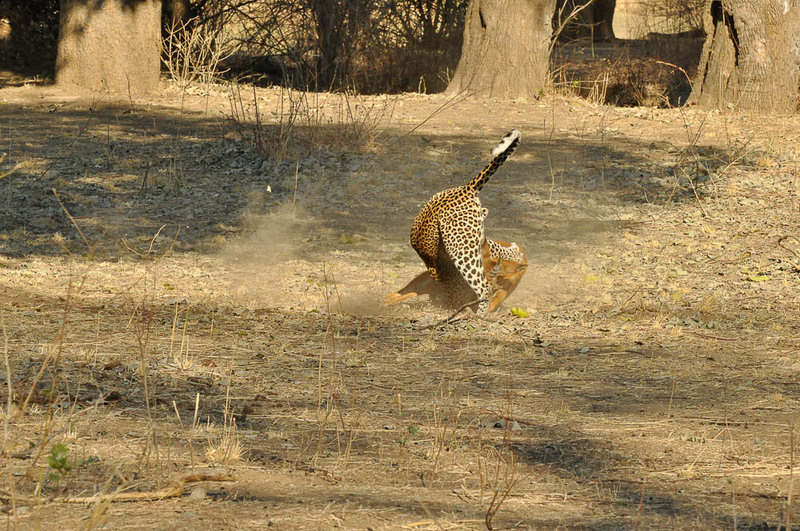 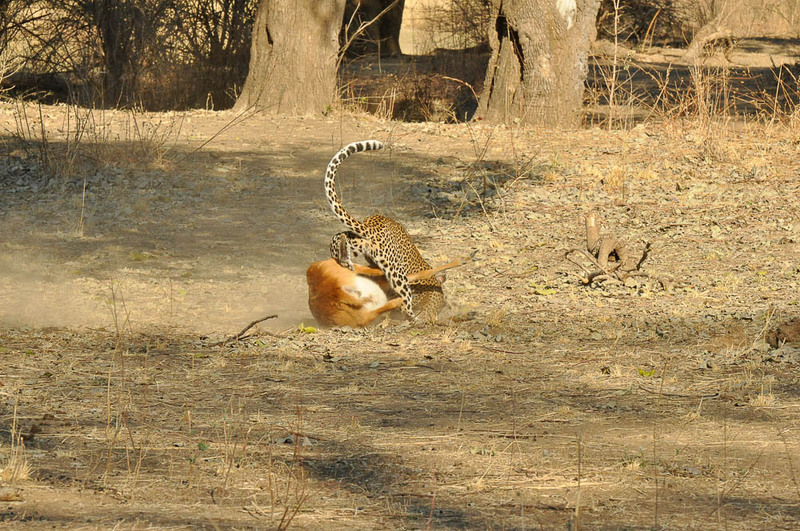 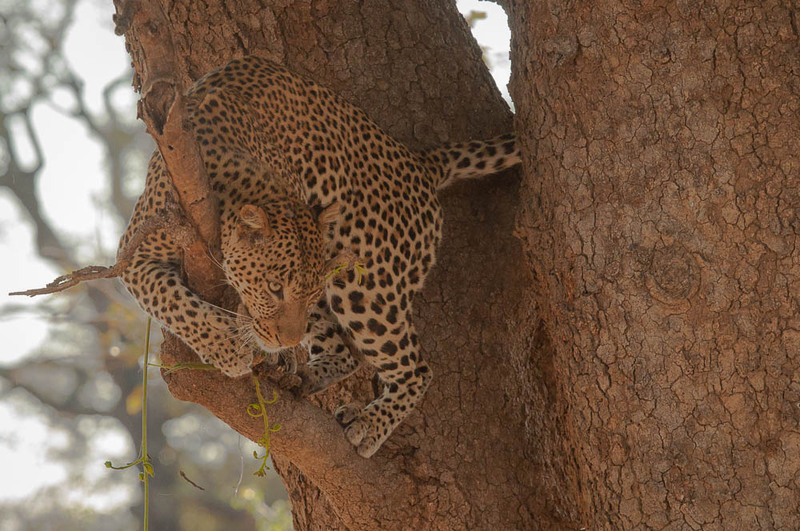 Our resident leopards have all given us their very best; turf wars, epic hunts, mating couples, family moments and so much more. As usual, as we inch our way towards the end of the season we contemplate which of our resident females are pregnant, and which ones will keep their cubs through the rains. 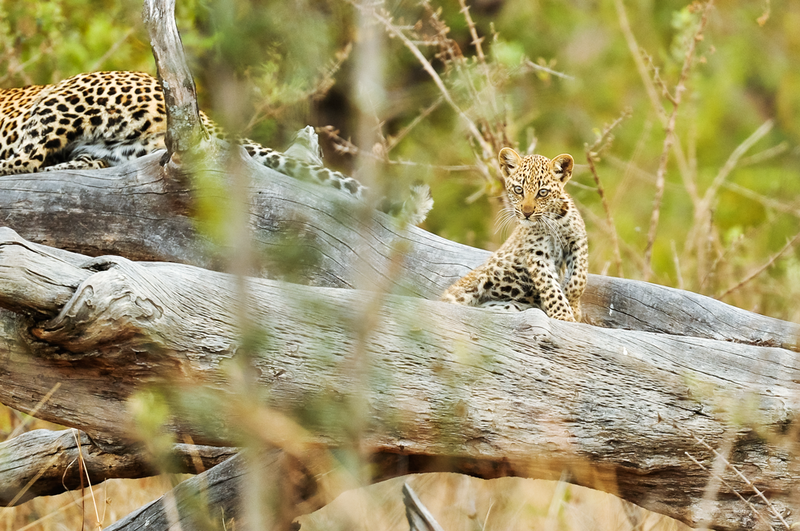 Mamma Kaingo has done well, with one cub still alive and healthy from her litter earlier this year. 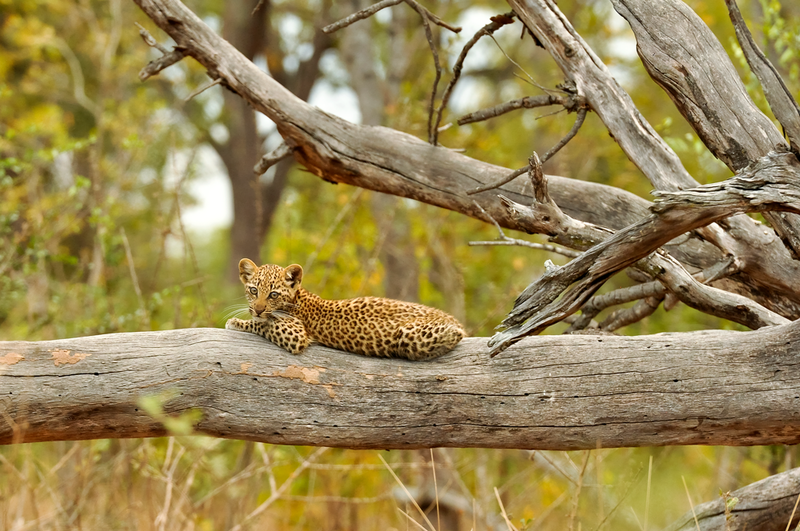 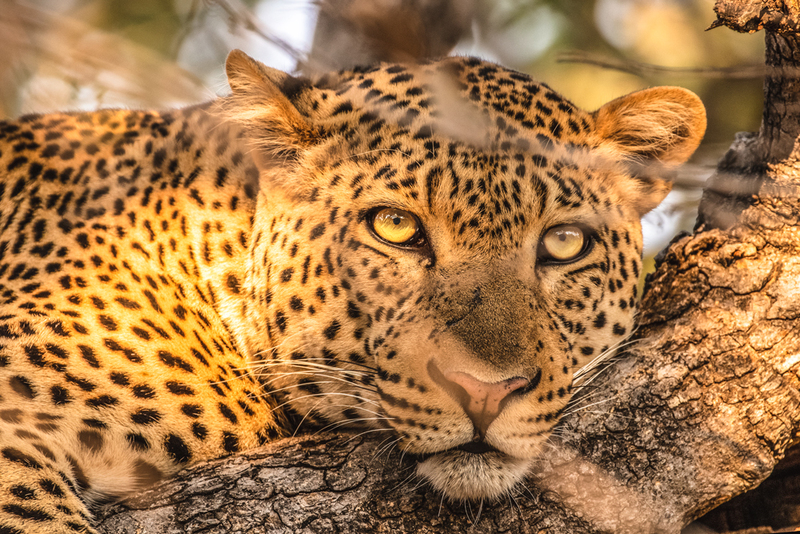 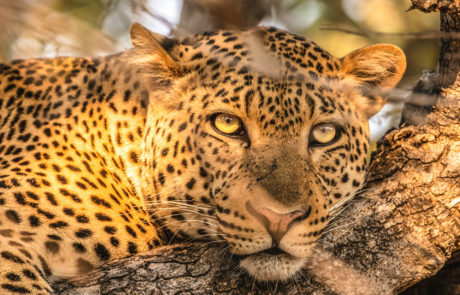 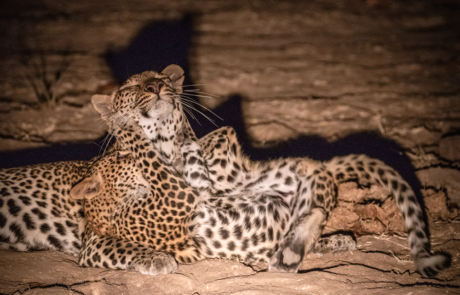 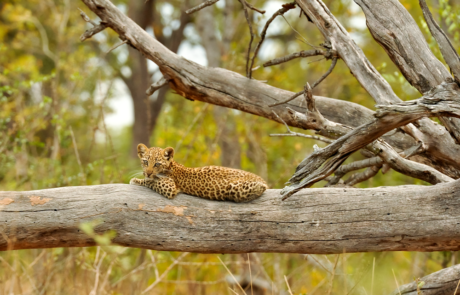 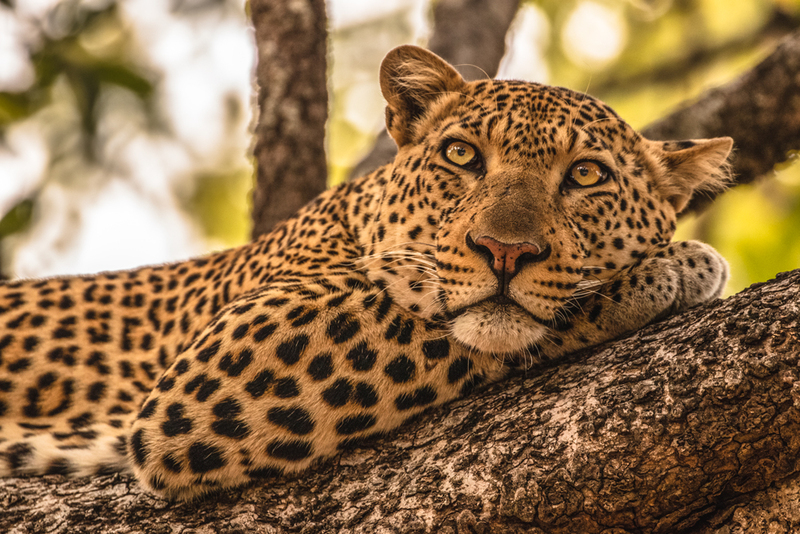 ­She’s gifted us the privilege of watching them play, feed and relax multiple times and we’re so excited to have her raise such a relaxed young leopard in our area. 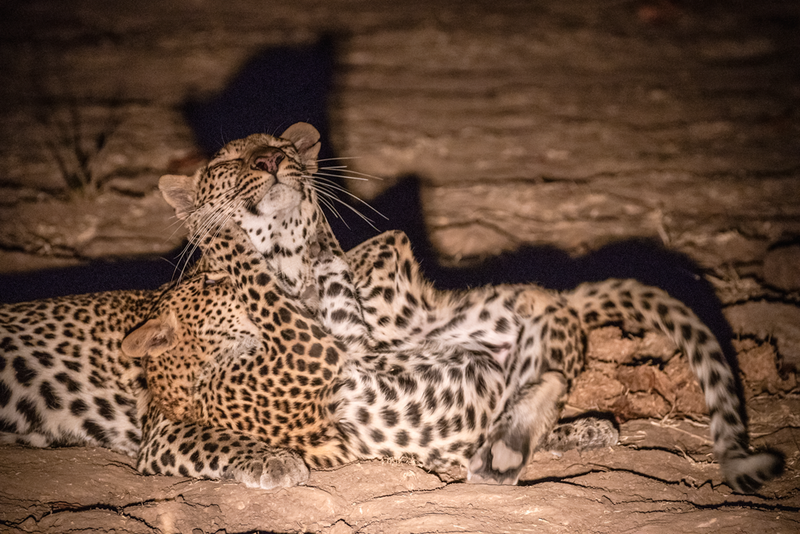 We’ve had new faces come into our corner of paradise as well, with a new young male present in the area around Acacia Loop. 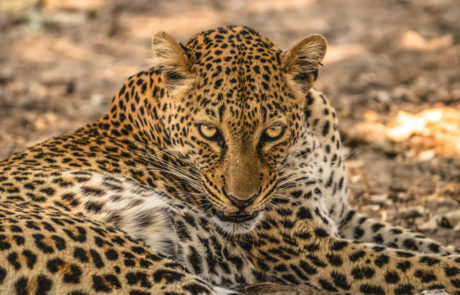 This new young boy has had some encounters with Chiphadzuwa that have left guests in fits of giggles, we’ve never seen a male leopard so fearful of a female before! 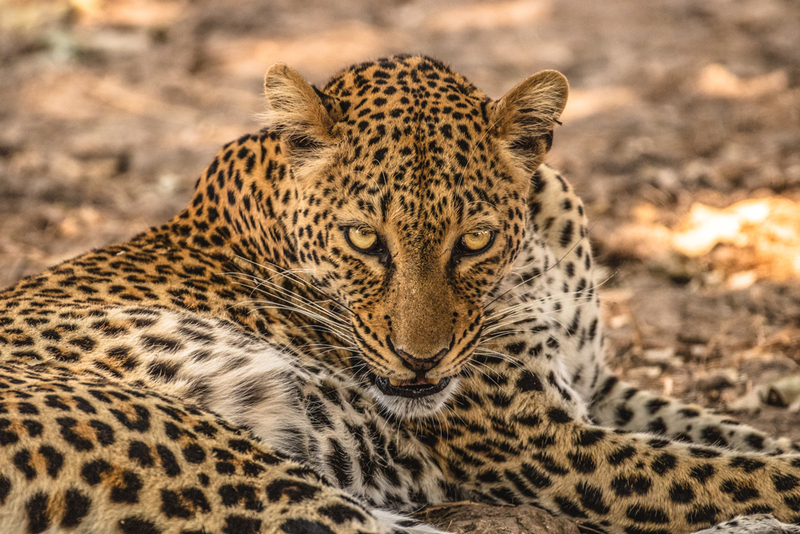 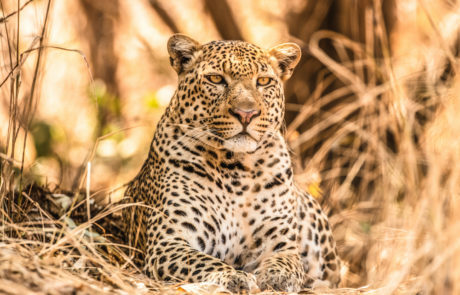 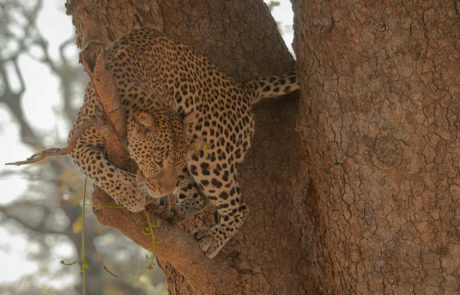 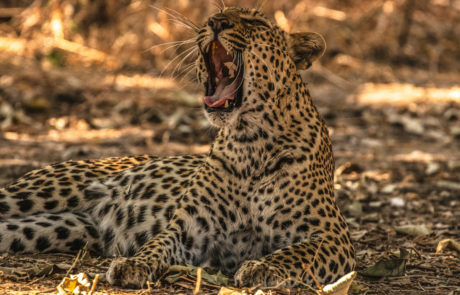 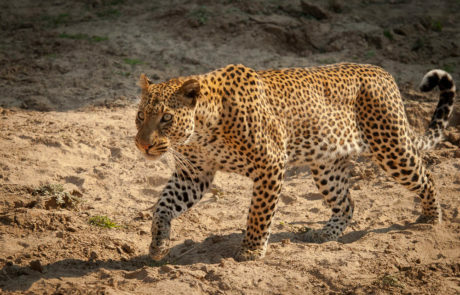 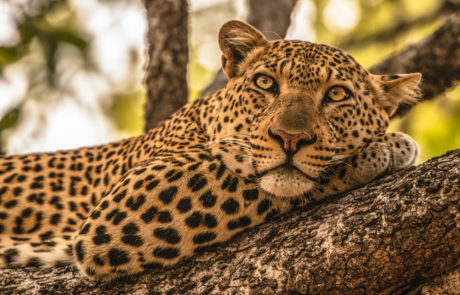 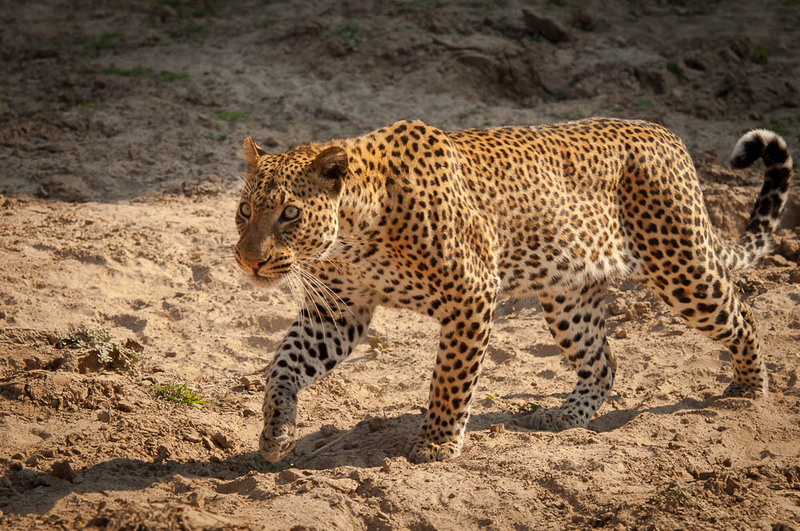 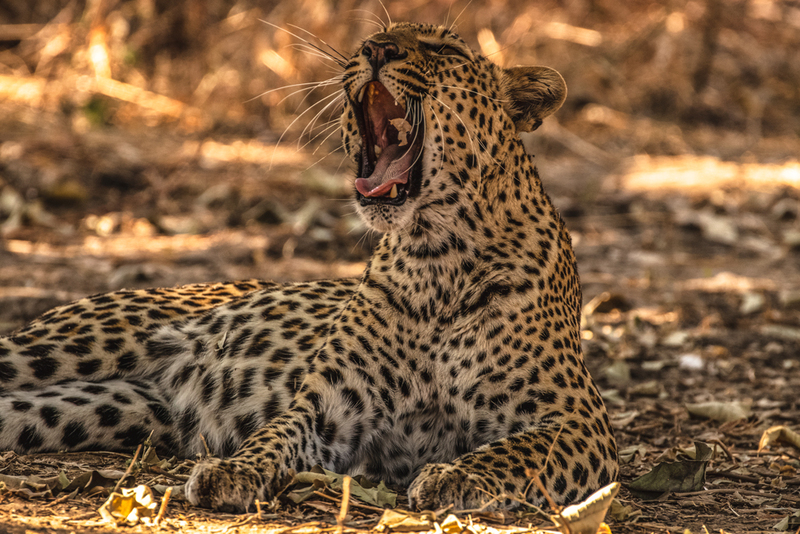 One thing for sure, the leopard sightings have been as phenomenal as ever, and we can’t wait to see what the rest of the season has in store for us! 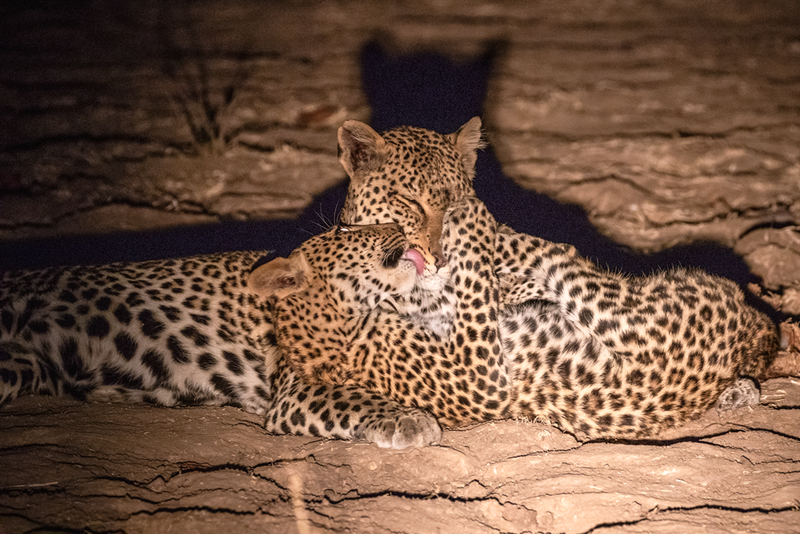 Between elephants visiting Kaingo and Mwamba, the resident bush buck, vervet monkeys and the endless supply of birds that guests get to enjoy in camp, we’ve had a couple of nights with dessert being served with a side of lion sightings! 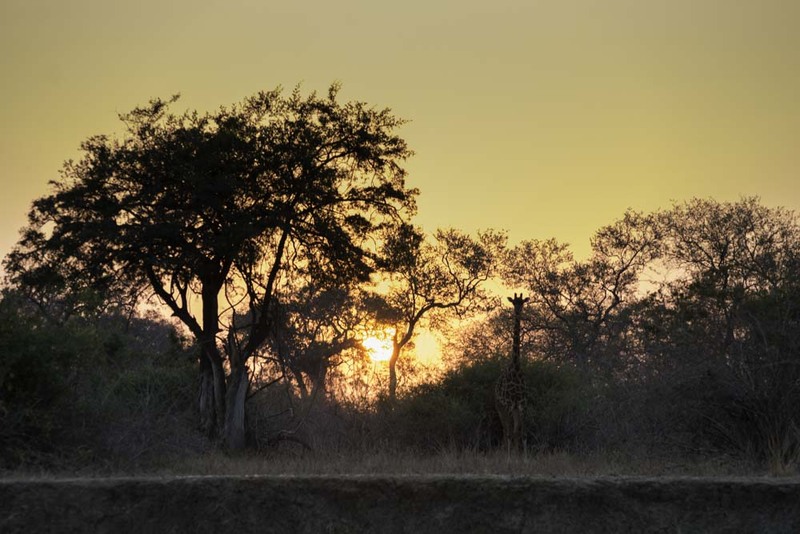 Our resident prides have walked through both Kaingo and Mwamba during dinner service, always an exciting moment for our guests to hear the deep rumbling roar of a lion coming from just outside the dining area! 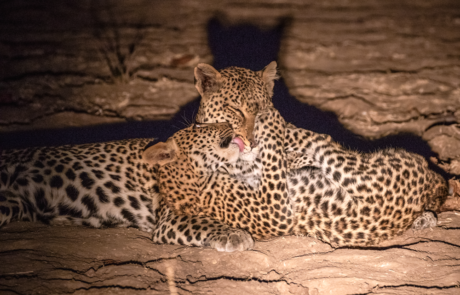 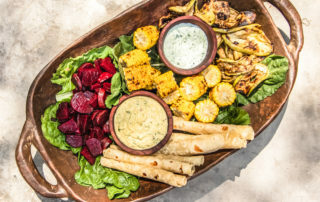 This makes for incredible after-dinner drinks’ conversation, sitting around the table in excited tones while keeping an ear out for the contact calls between pride members as they move through the camp. 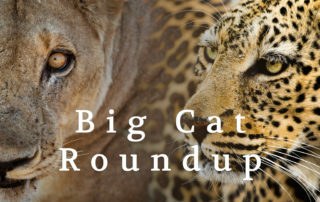 We hope you’ve been keeping up to date with all of our big cat activities with our weekly Big Cat Roundup, scroll down below to catch up if you haven’t! 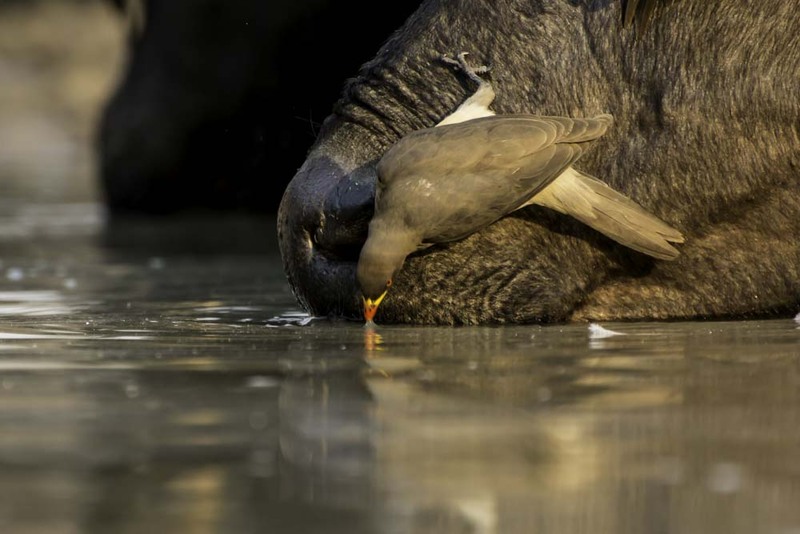 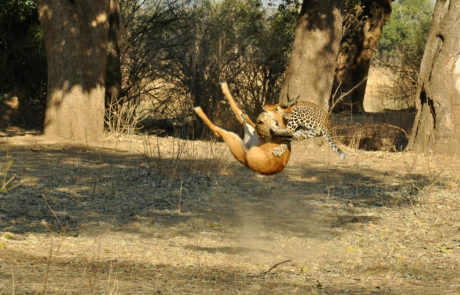 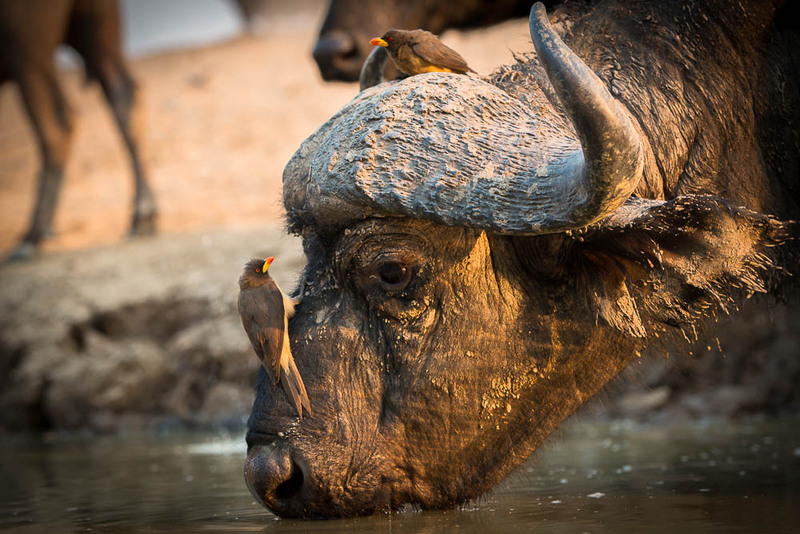 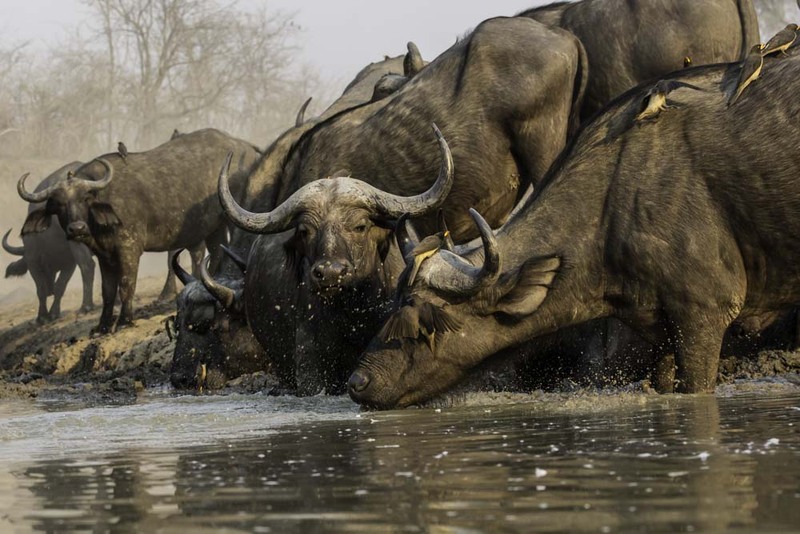 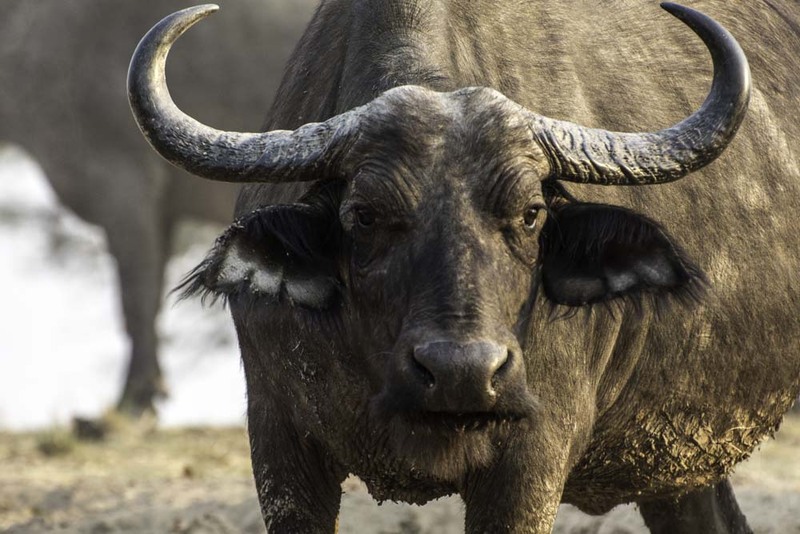 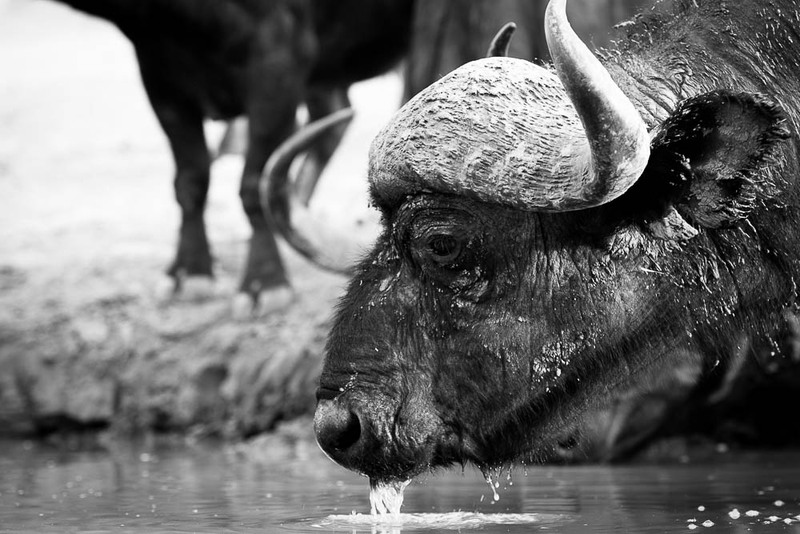 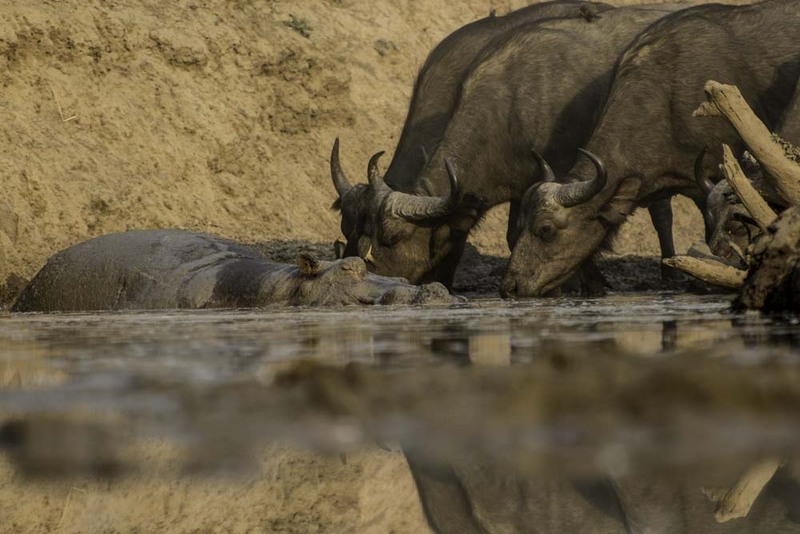 One of the most memorable moments must be the Mwamba-Kaingo’s taking down a buffalo in front of the Ebony Grove, the actual kill took place in the Luangwa River, which lead to the the buffalo being consumed in the river! 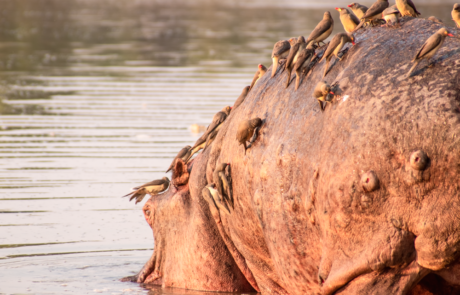 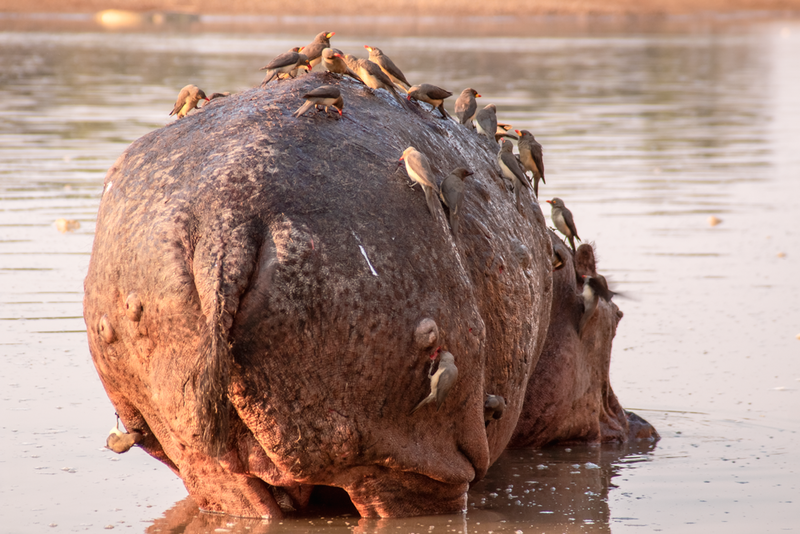 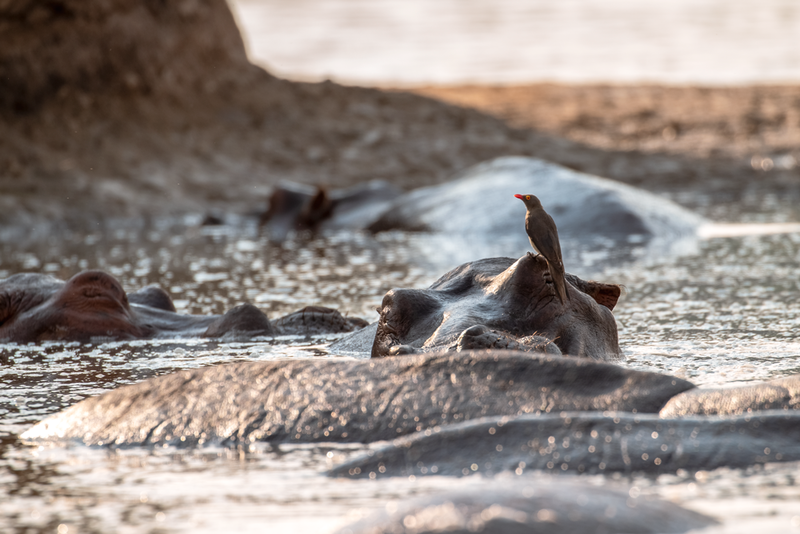 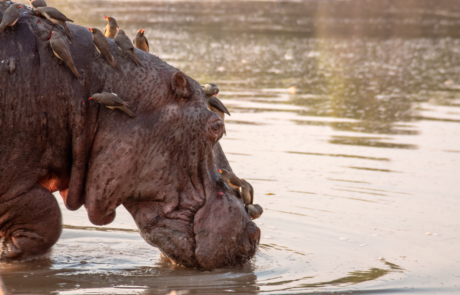 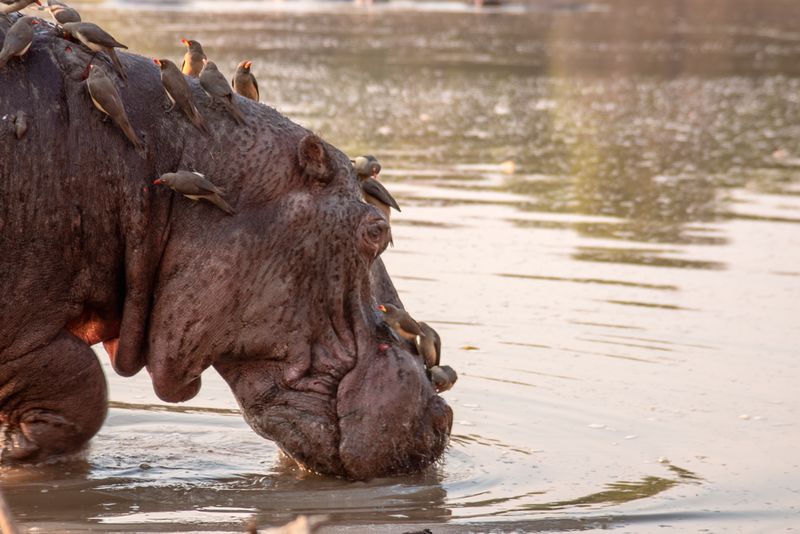 The hippos were not impressed with this situation and there was a very tense moment when a large hippo bull decided to show his distaste by confronting the pride of lions! 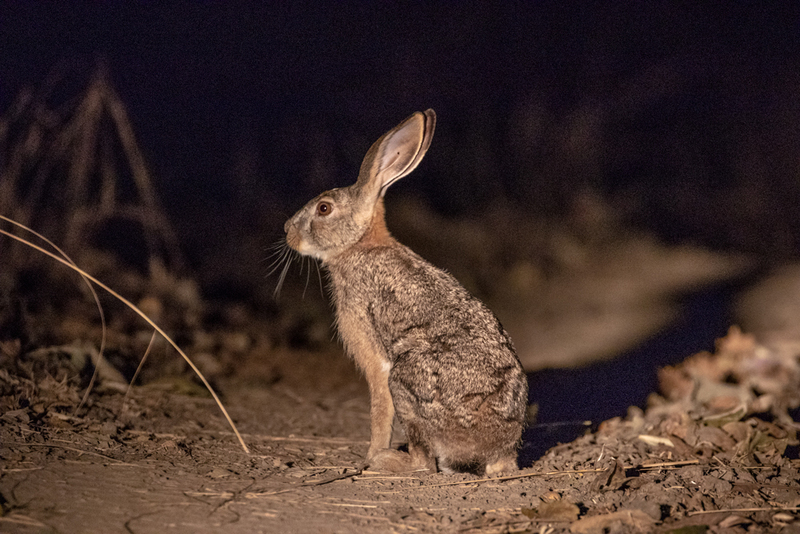 As we head towards the last month of our 2018 season, we can’t help but wonder where all the days have gone. 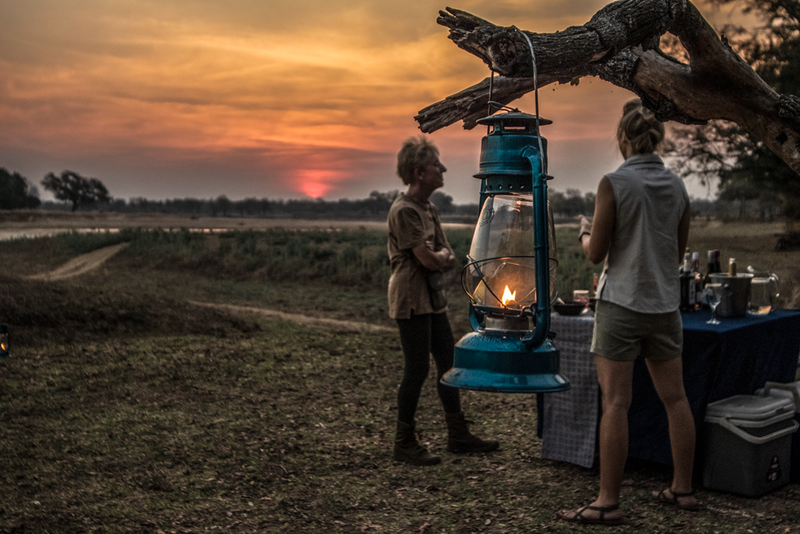 The 2018 season has been thrilling to say the least, with exceptional guests and game, we’re so grateful for the friends made so far, and can’t wait to meet the rest of you coming soon. 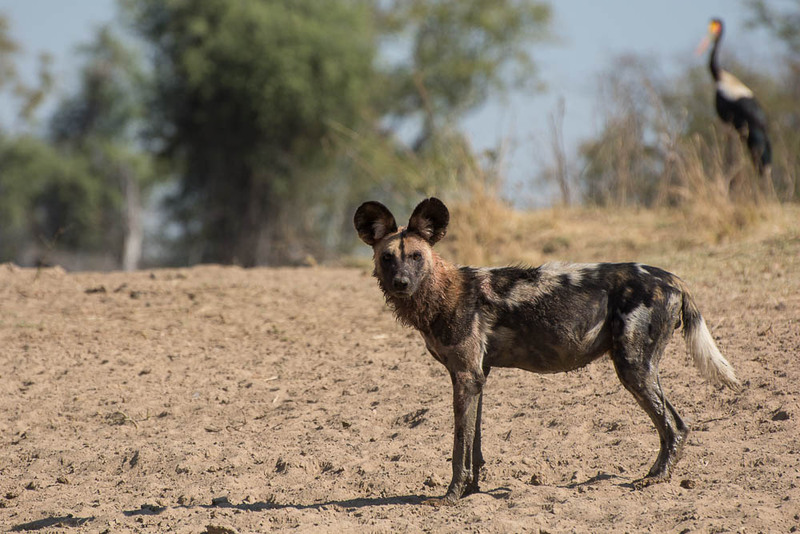 If you are heading to us in the next couple of weeks, apart from the usual safari gear that you’d pack, we’d highly recommend packing a good hat, sun screen and some sunglasses! 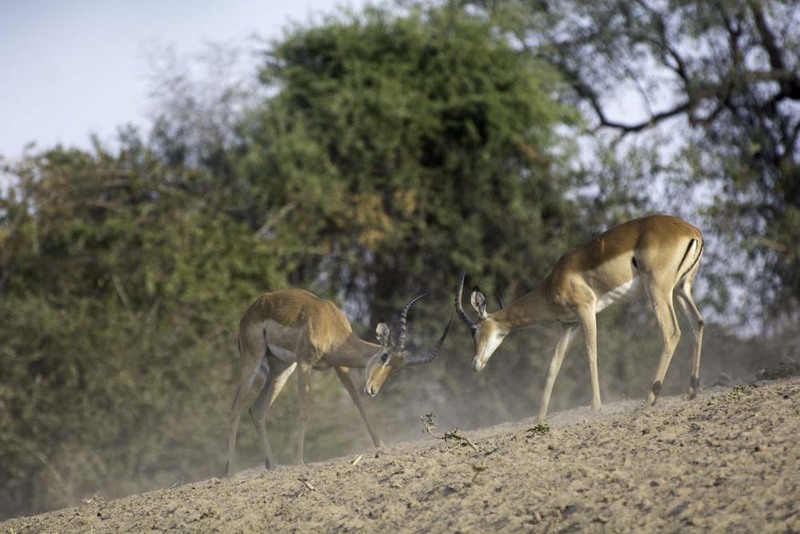 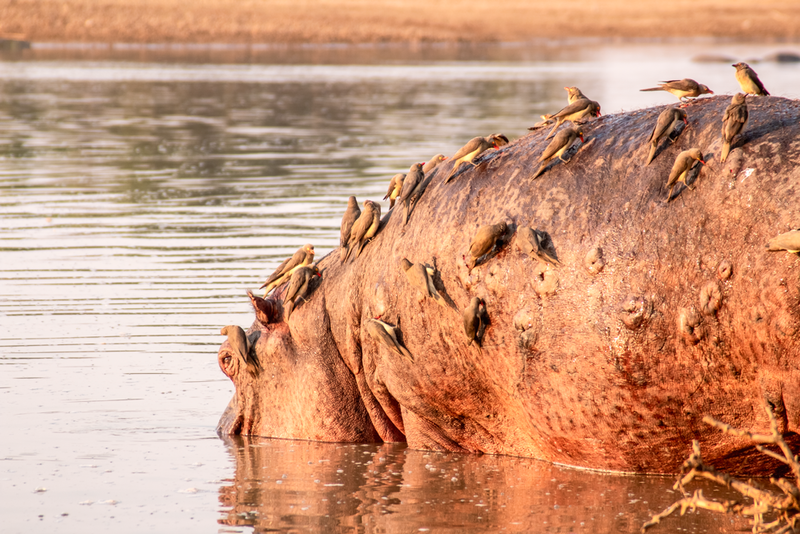 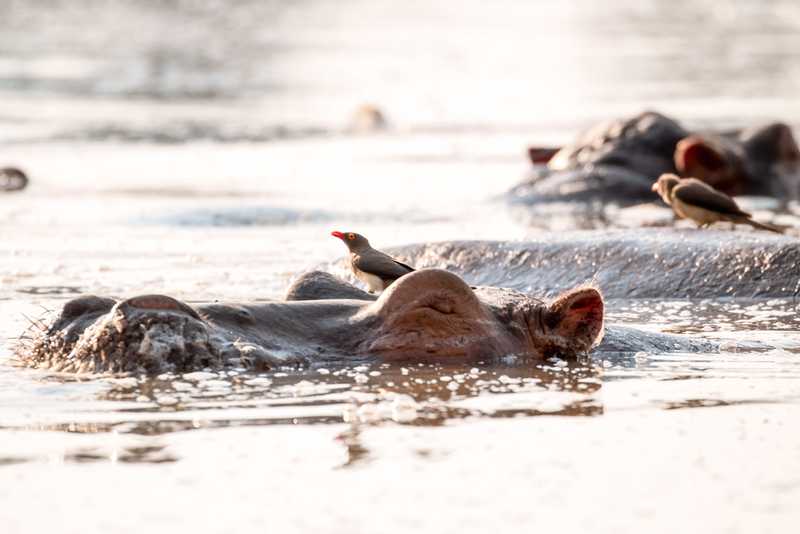 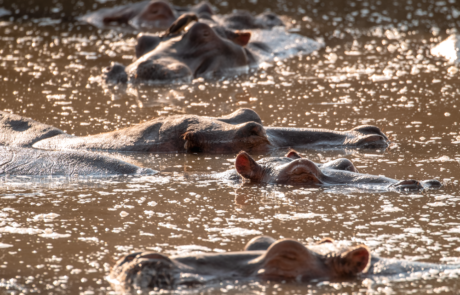 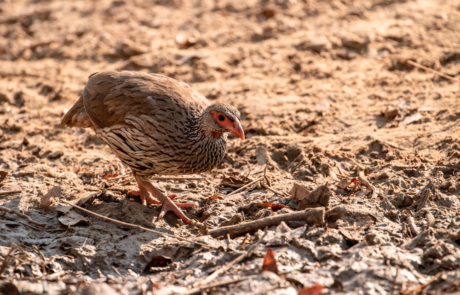 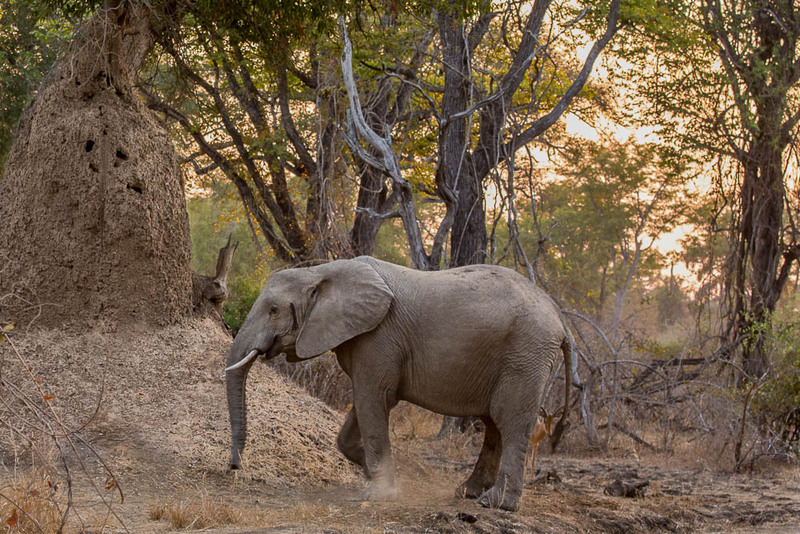 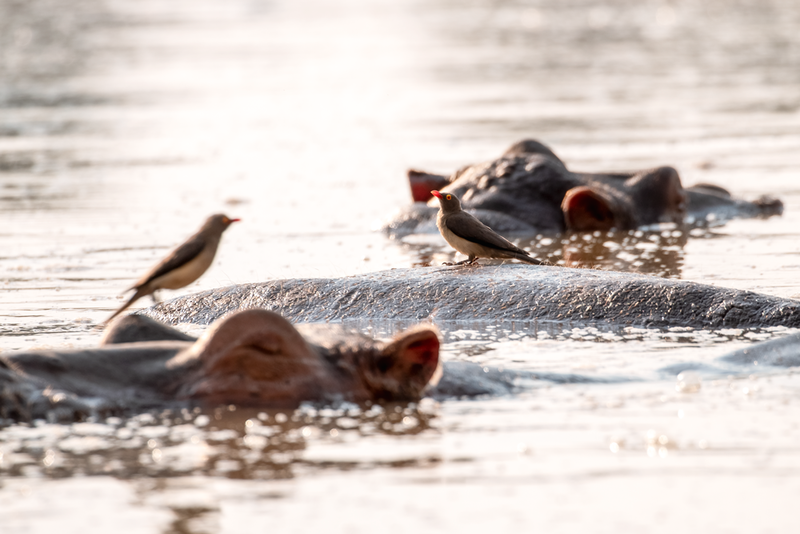 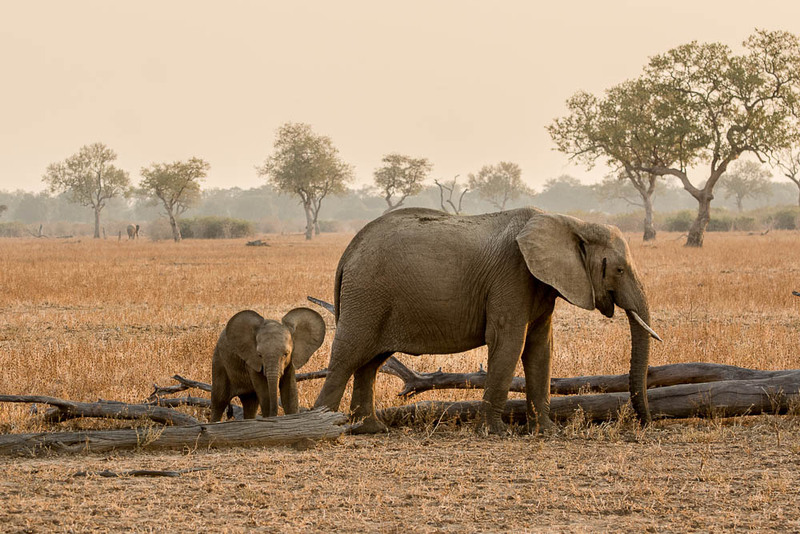 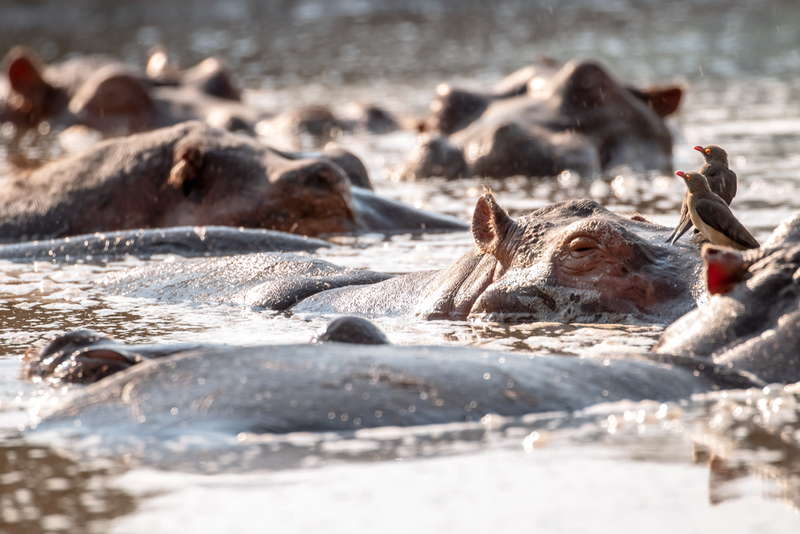 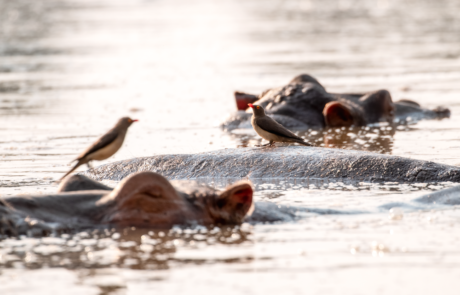 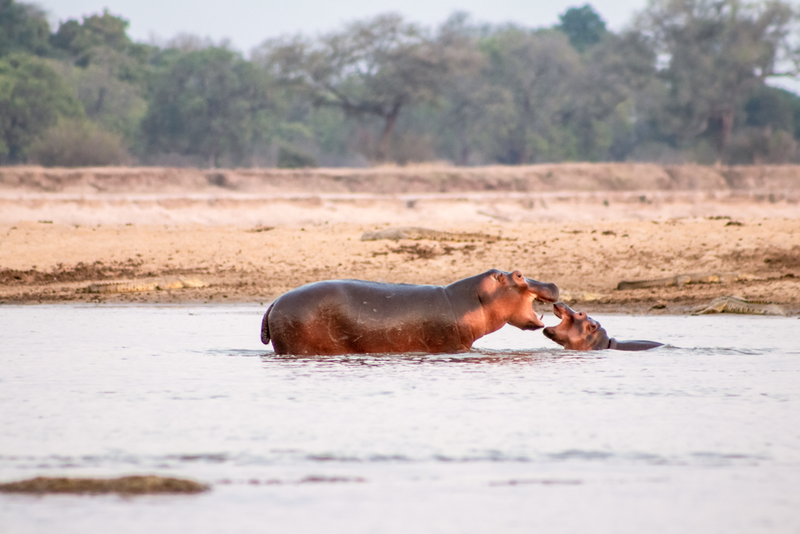 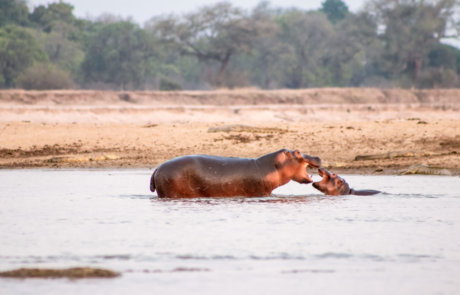 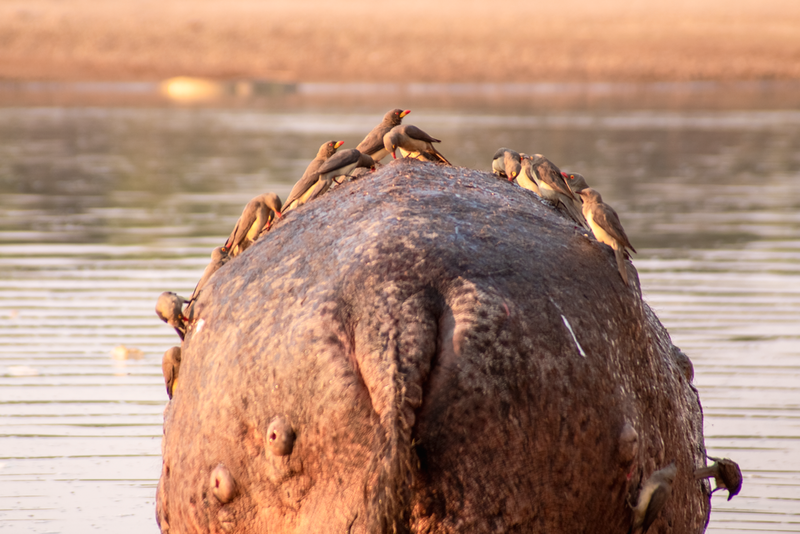 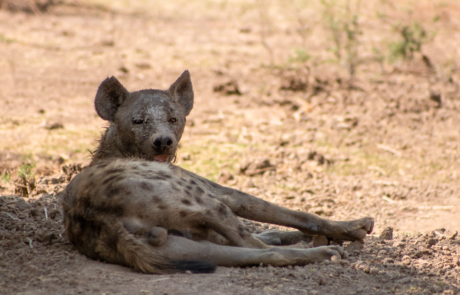 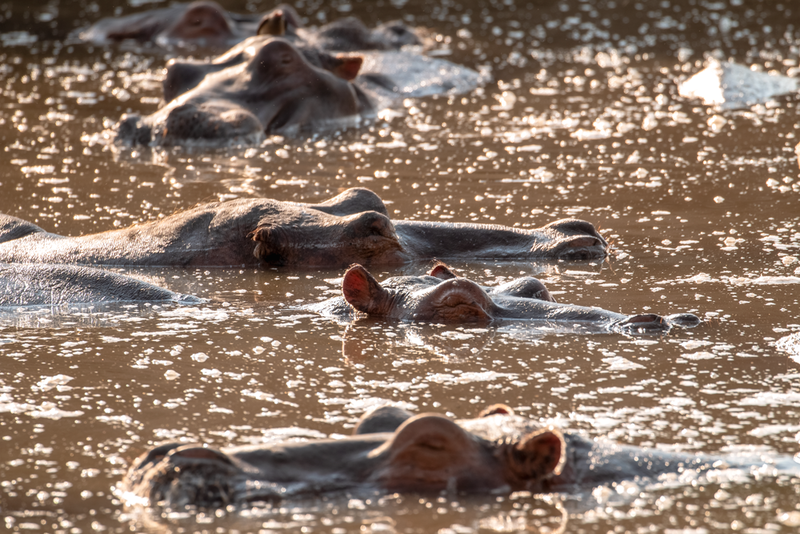 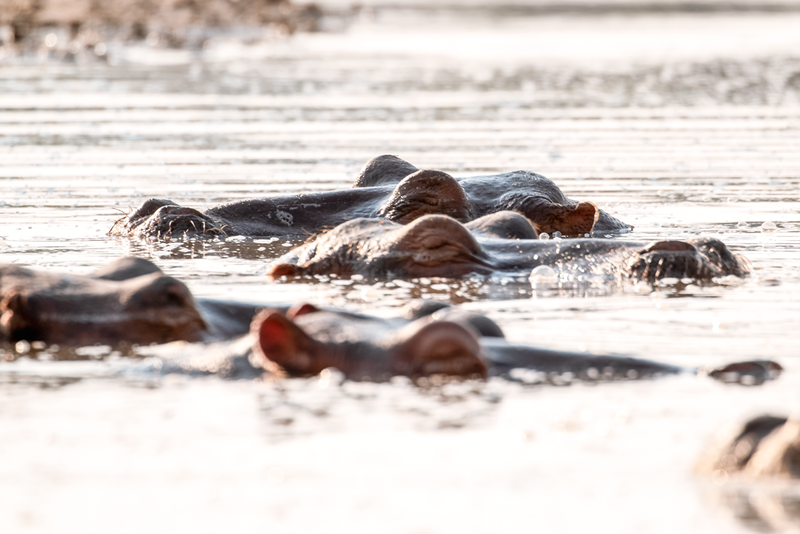 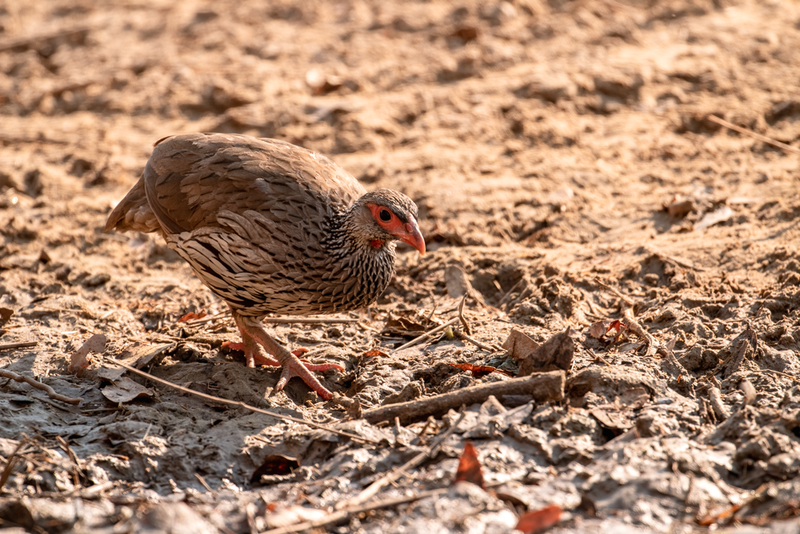 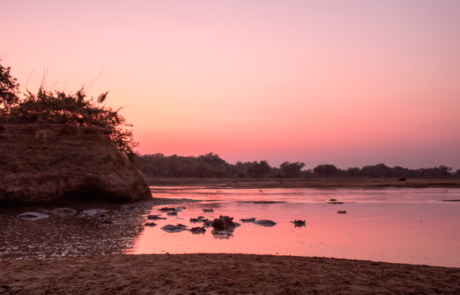 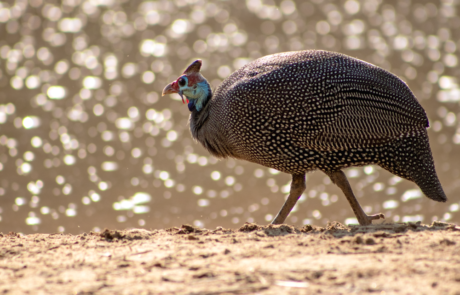 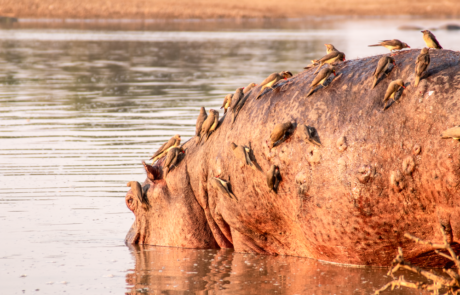 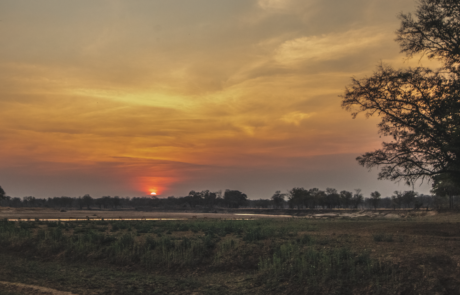 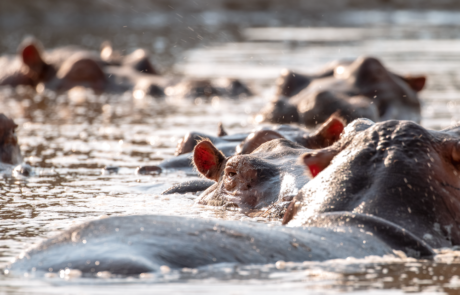 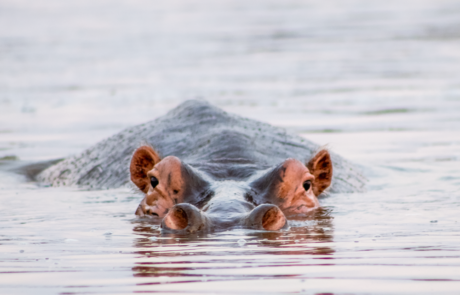 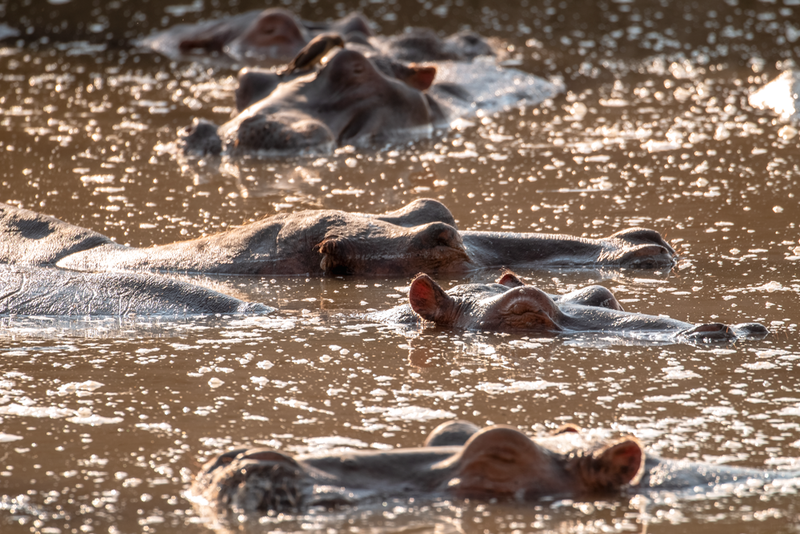 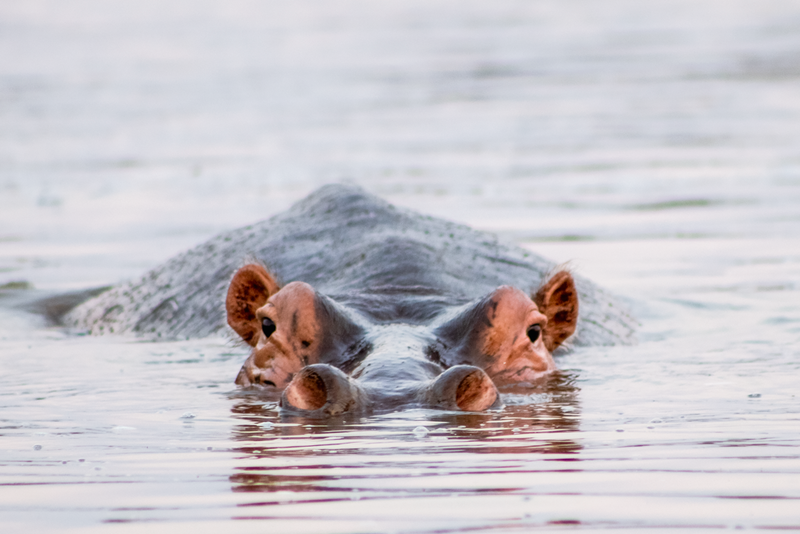 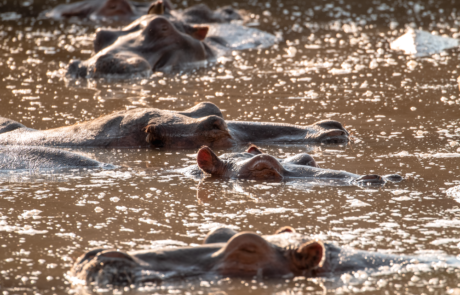 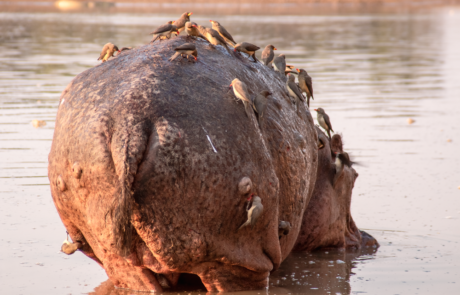 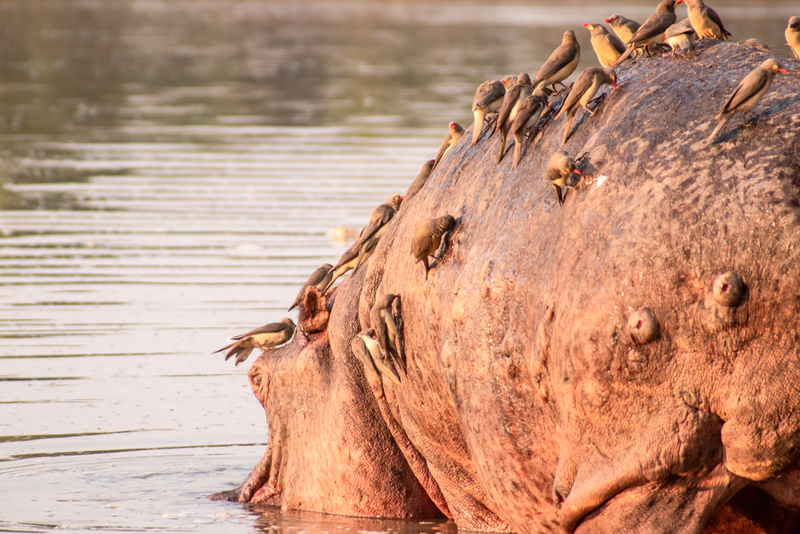 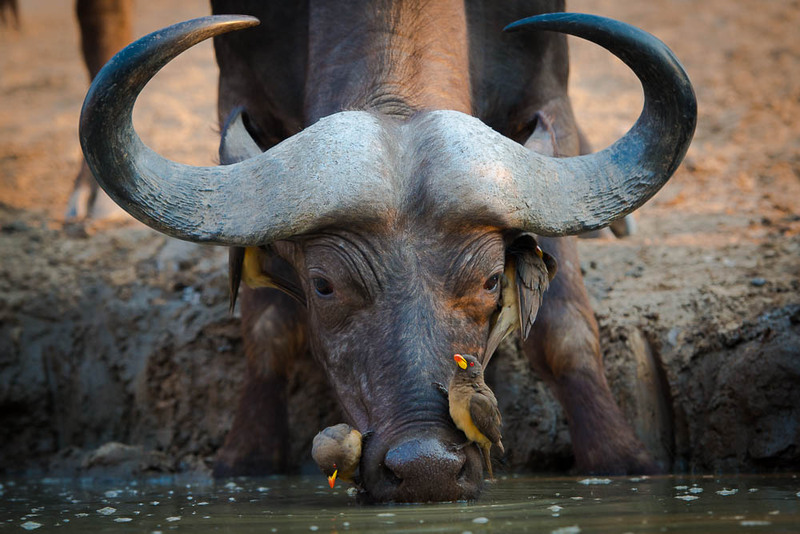 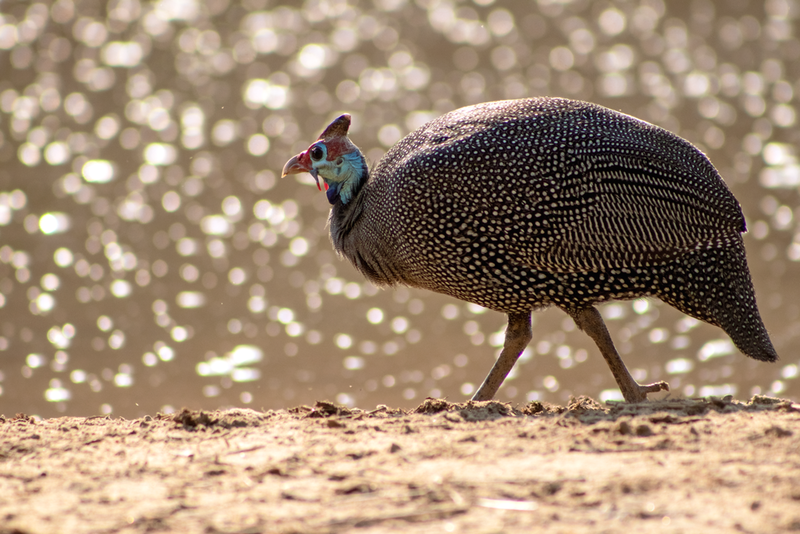 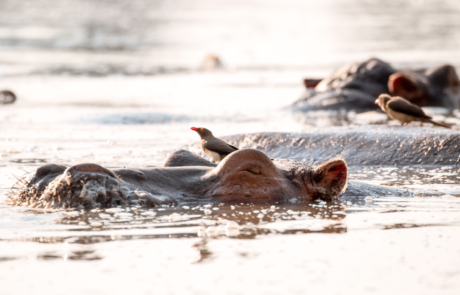 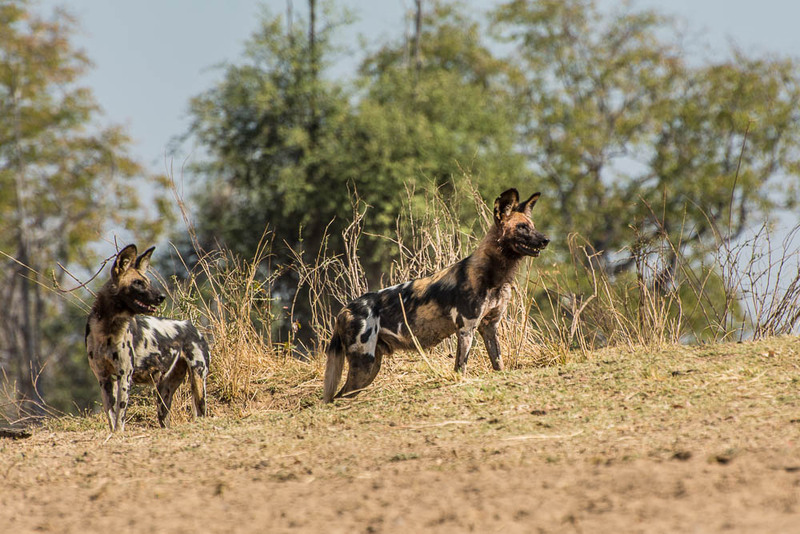 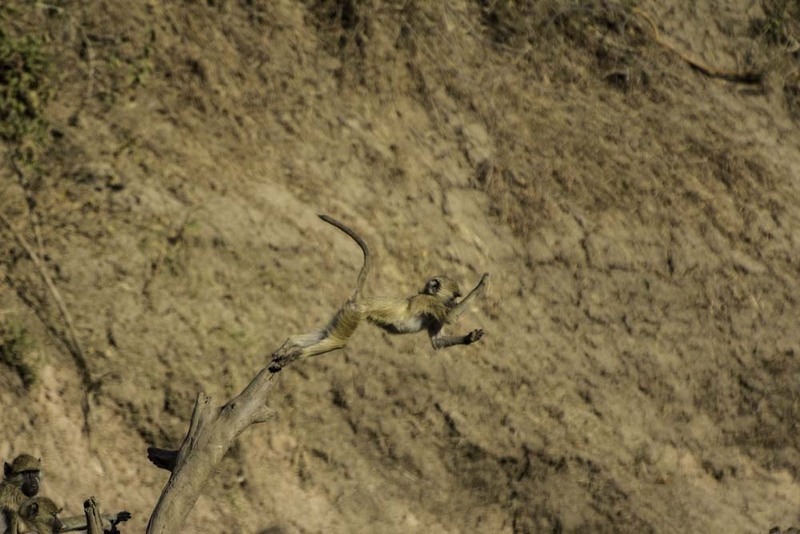 The coming month is our warmest, known locally as ‘suicide month’, where those who choose to come out to the South Luangwa during this time know that it’ll be hot, but that they’ll be here in the most game intense month of the year! 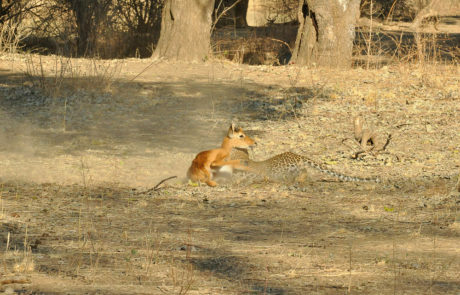 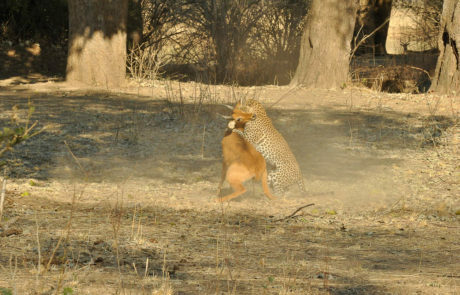 October is an endless list of incredible inter&intra species interactions, that doesn’t let up until the rains arrive. 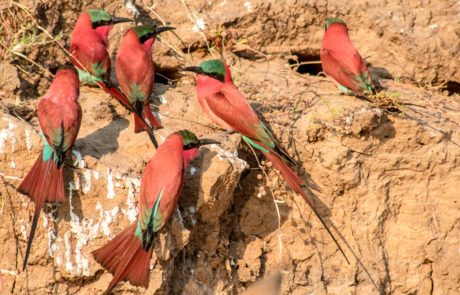 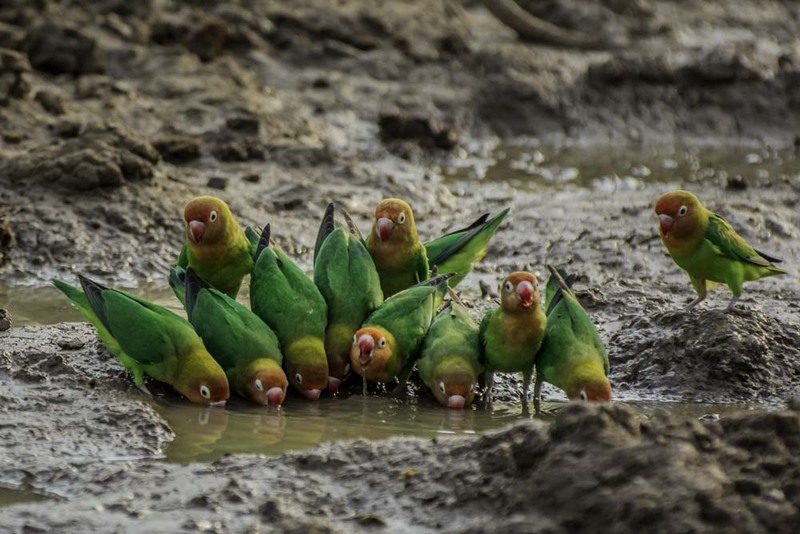 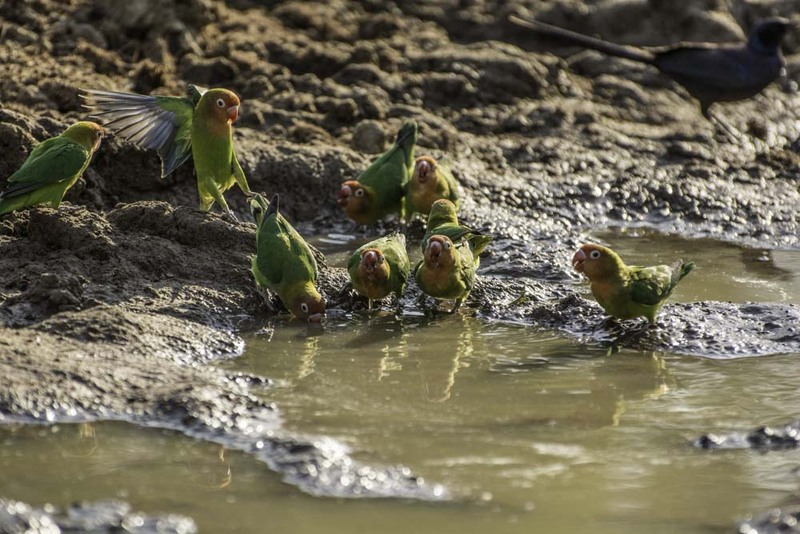 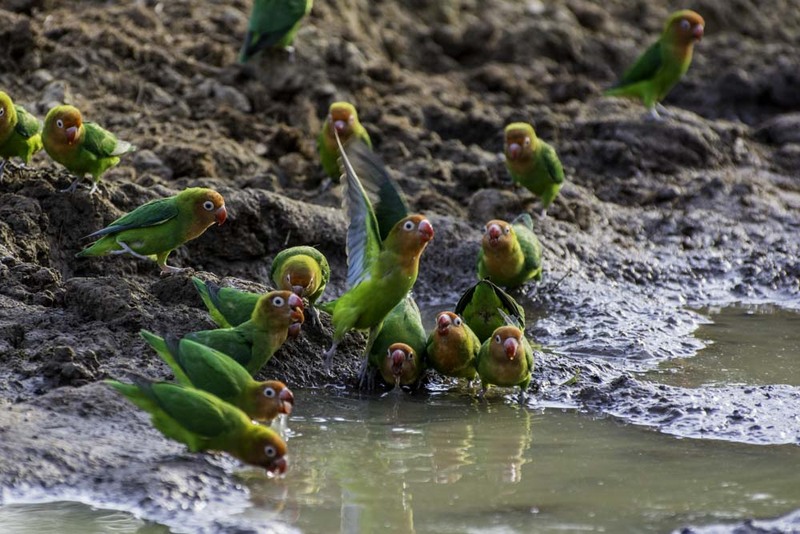 We’re excited for you and the sightings that you’ll be getting, and we know that as the days go by we will be getting more and more green with envy! 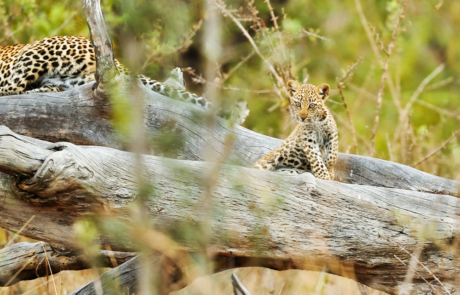 We don’t know if you managed to tune into our last Live Session for our Hides! So, we’d like to invite you to participate in our next session! 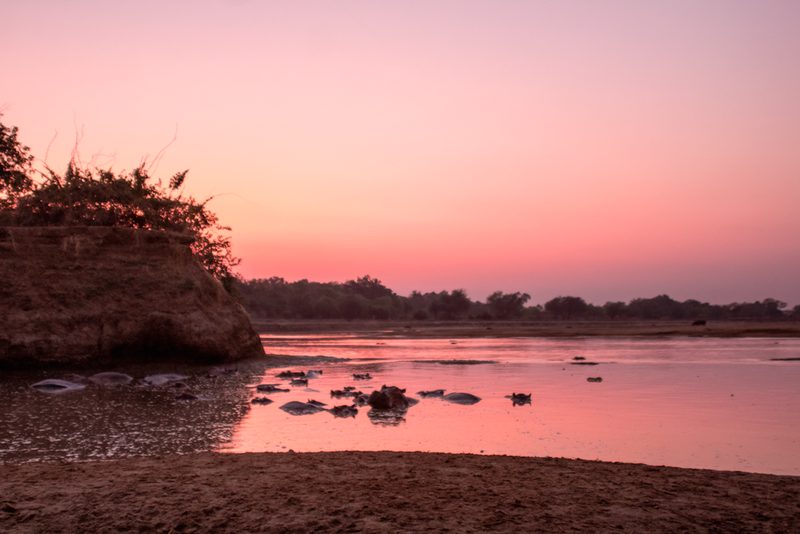 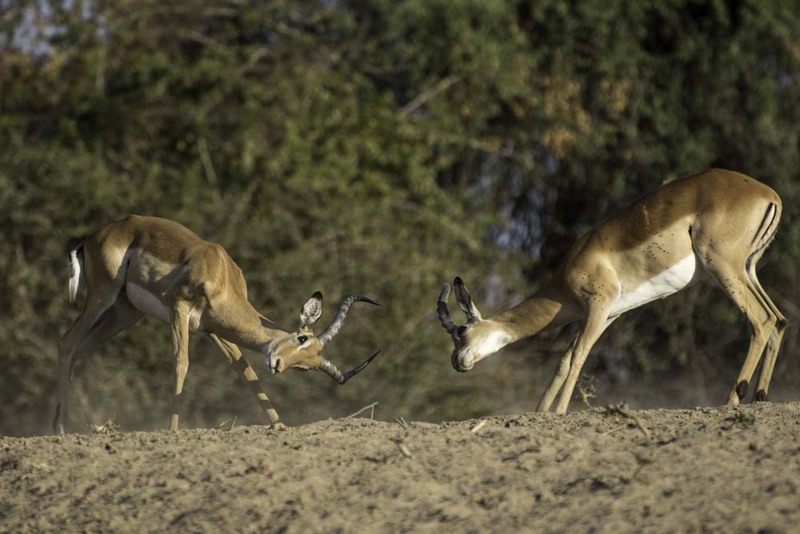 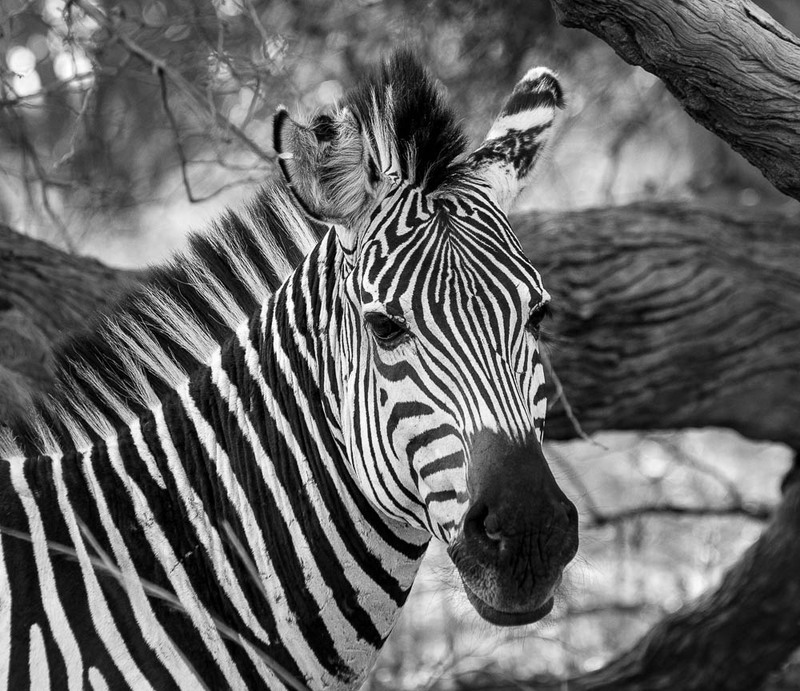 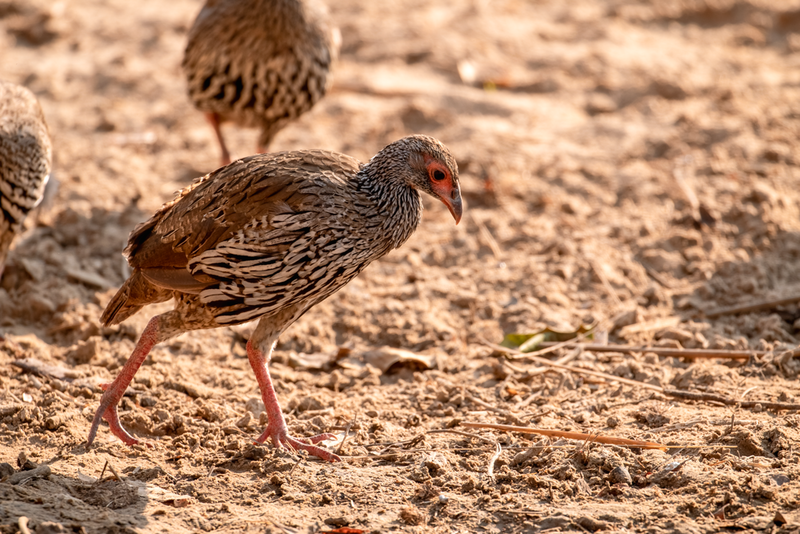 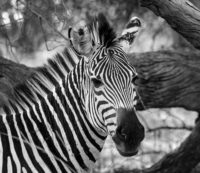 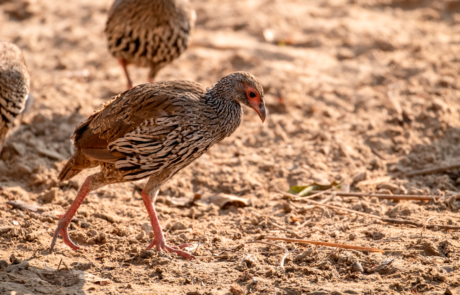 It’s Shenton Safaris’ brand new way of making sure that even if you are far away, you can get close to us here in the heart of the South Luangwa, Zambia!